I've written about breakfast a lot lately, but not intentionally. 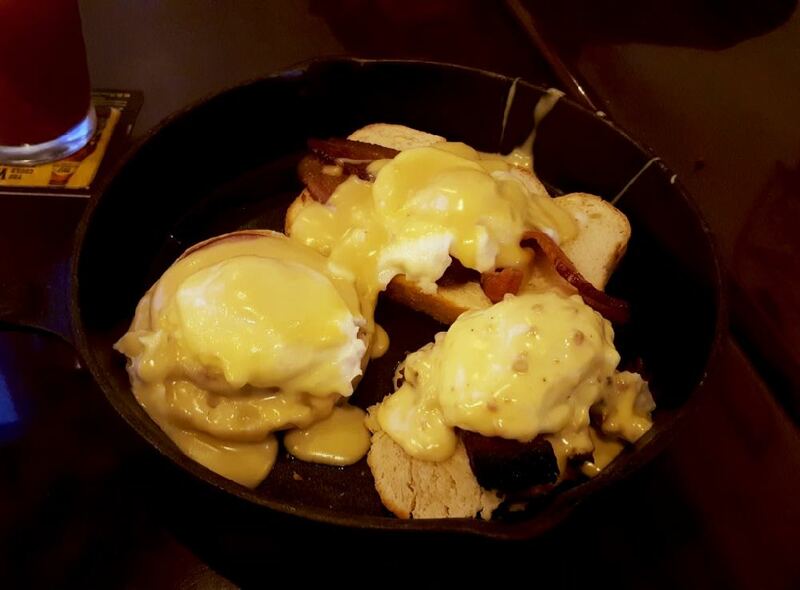 It just happens that what Capital Region-ers consider breakfast food is expanding. What kind of food writer would I be if I didn't explore that? 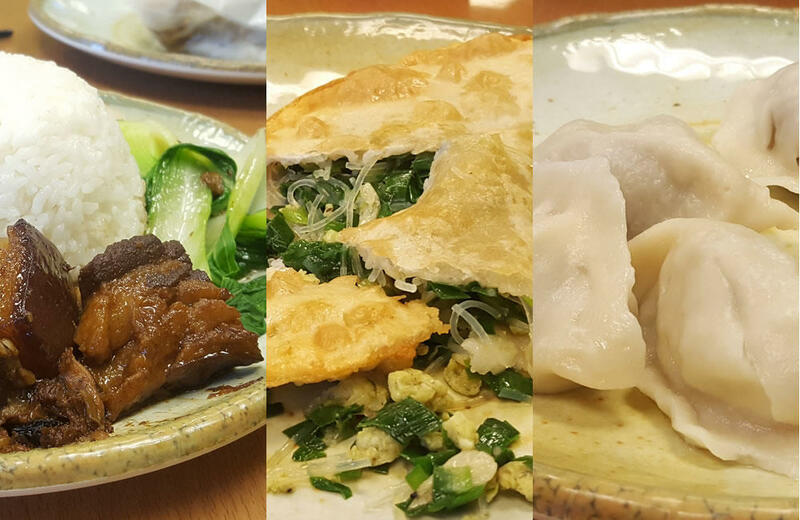 Dim sum -- the traditional Chinese course of food that involves small plates of dumplings, buns, and meats -- was traditionally served as a breakfast or brunch-like option. And after having a few dim sum options at Tea Plus in Clifton Park, I'm thoroughly convinced breakfast really is the most important meal of the day. 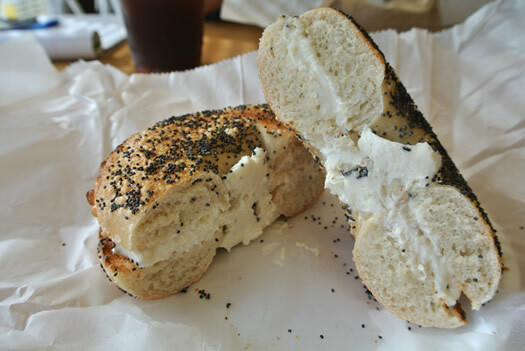 Breakfast sandwiches might as well be an official food of the Capital Region. We have enormous ones. We have taco-styled ones. We have vegan ones. We have everything in between. When a new one comes to the market, it has to be really special to be deserving of page space. 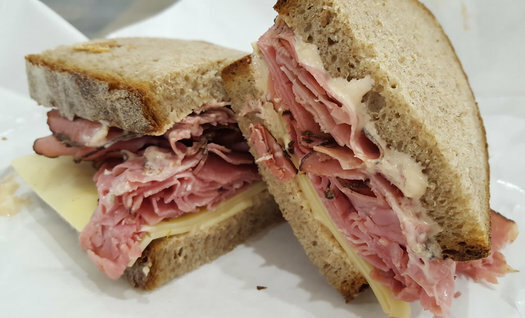 Make it with Taylor pork roll or smear it with n'juda. Custom-mill grains for a hearty, toasted roll. Use the eggs from backyard chickens. 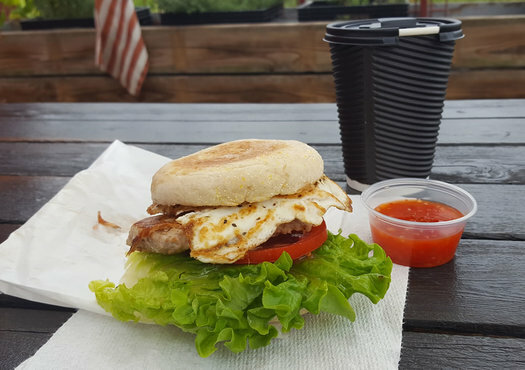 Or just be this breakfast sandwich from Stacks Espresso Bar. That works, too. I'm down to eat breakfast any time of day. In fact, I would rather eat traditional breakfast food post-noon than any time in the morning. 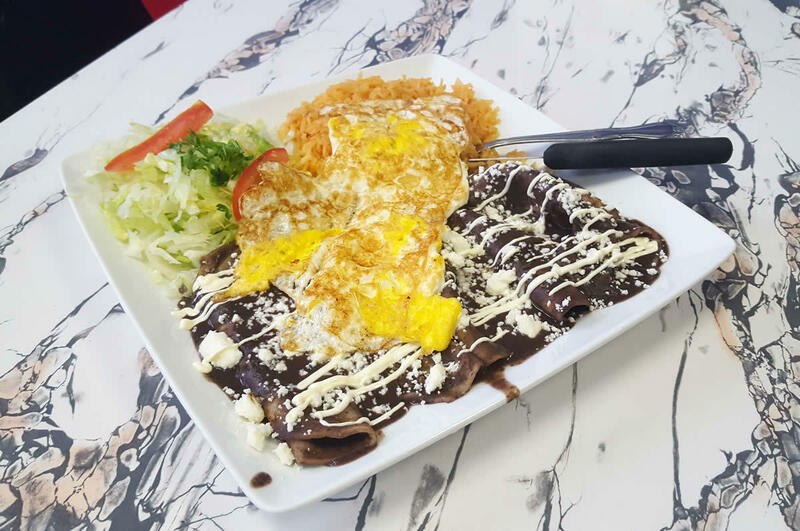 So when I walked into Cocina Vasquez on a recent Sunday looking to try something from this South-Central Mexican menu, I was on-board when the teenage girl behind the counter told me her favorite thing on the menu was enfrijoladas, a classic Mexican breakfast item. I took her advice and order a plate for myself. Ok, so all of you. Now, how many of you made the transition to The Low Beat on Central Avenue? If you made the pilgrimage across town, chances are it is because you love good music. Owner Howard Glassman -- who opened The Low Beat after Valentine's was forced to close as part of the Park South Urban Renewal Plan -- has a reputation for booking shows that span from hometown hero local bands to (inter)nationally touring acts to esoteric outliers that got a blip mention on Pitchfork half a decade ago. But if you are new to The Low Beat, it's likely for two reasons: You just turned 18 and can get into shows -- or you've learned about the secret that is Celina's Kitchen. I recently showed up an entire hour early for a meeting at The Olde English Pub in Albany. Well, more than an hour, I guess: I thought I was finally overcoming my chronic lateness by providing myself an extra 15 minute window to park and account for traffic. Turns out I had the time entirely wrong, because that's the kind of winter it's been. The bright side: I was still early to the meeting and I had the chance to finally eat something more than fries between slugs of beer at The Olde English. The doner kebab seemed like a great place to start. I'm back in Saratoga today. That means I've hit my quota for dining out in Saratoga for the year, right? Maybe not, since the city keeps opening up restaurants with a velocity reserved for more urbane nooks in bigger cities. Maybe it's because of the high turnover (and higher rents) in this tourist town, or maybe it's because hungry Saratogians are demanding more options, but the dining scene keeps expanding. Farmers Hardware is a good example of that growth -- reason enough to take a gander at the menu and do a little sampling. 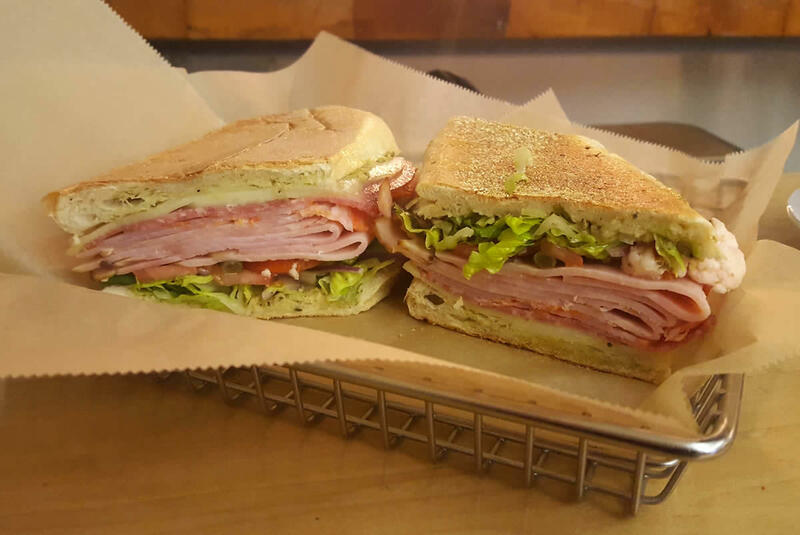 A muffaletta sandwich is a glorious thing. Rich, unctuous, and briny, it has enough substance to make typical sandwich accoutrements (pickle, chips) seem superfluous.The trick is getting the proportions right and keeping each flavor profile balanced. A new (long awaited) eatery -- Harrison's Corner Market in Troy -- seems to recognize and respect that. You know those online memes that show a horrifically frozen snowy scene and ask, "Why do I live in a place where the weather hurts my face?" I know the answer: It's because the soup tastes better here. 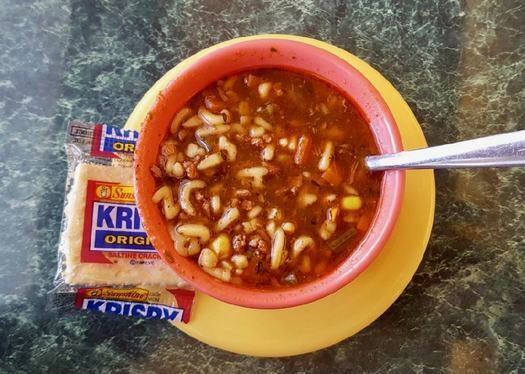 Soup -- loosely defined -- could include anything from chicken noodle to chili, and it tastes better in the Northeast. If hunger is the best sauce, then is frigid temperature the best seasoning? 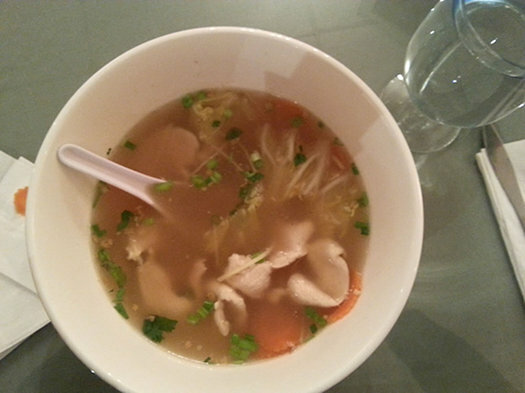 I went to Buddha Noodle on a sub-zero day to find out. There are certain foodstuffs that really only exist for those moments when you just don't care about life anymore. Those items that make it hard to believe the eater actually places value on their health, life expectancy or general well-being. 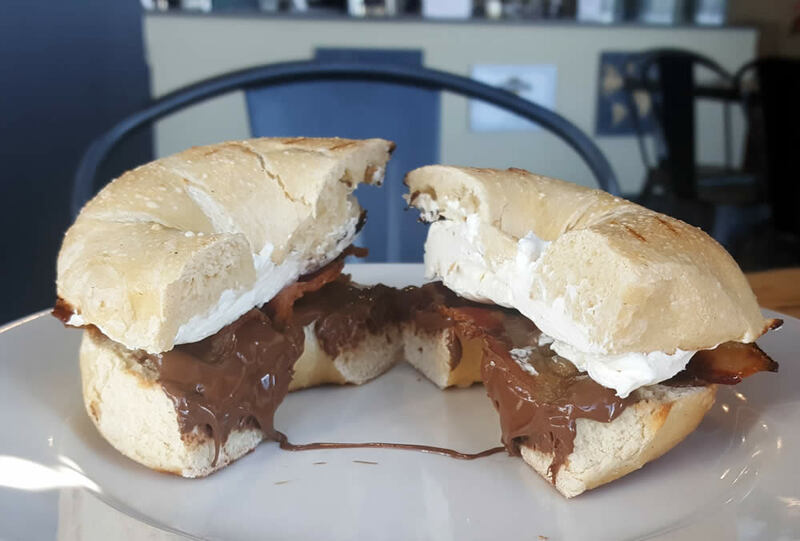 For those moments when all hope is gone, there is the Nutella Bacon Bagel from Wired Coffee. That's not what we're talking about today, but it's how to phonetically sound out galaktoboureko, the subject of this edition of Eat This! 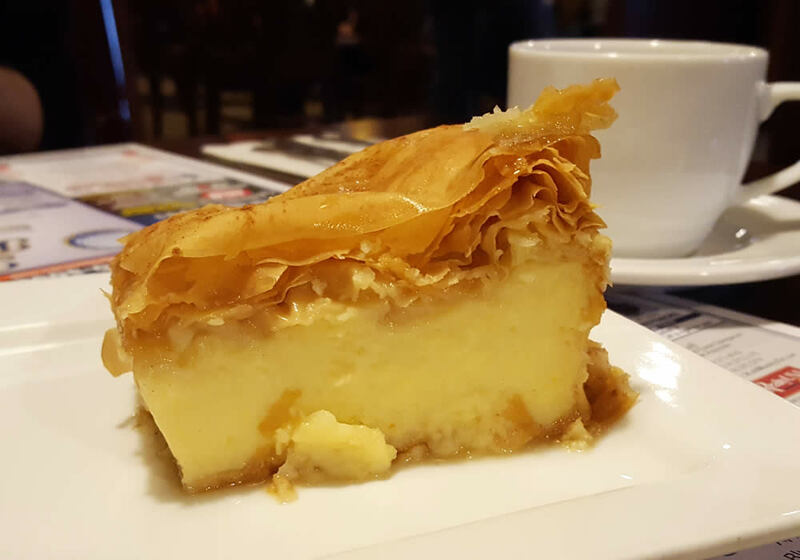 The galaktoboureko -- a 3-inch high pastry -- is difficult to pronounce at first, and perhaps that's why it often goes by it's more common moniker: Greek custard. Thrice I've attempted to dine at Tipsy Moose Tap and Tavern, just off Latham Circle. The first time, not long after the comfort food destination opened, the wait time was over an hour. 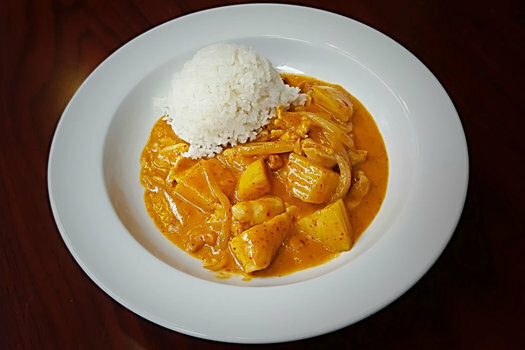 The result was a visit to Celadon Thai. The second time, during happy hour, was equally unsuccessful. Zaitoon Kitchen stepped in instead. But three is the magic number at Tipsy Moose, and my third attempt during peak Sunday brunch hours was a success. Let's face it, beef can be boring. And most times, it is. 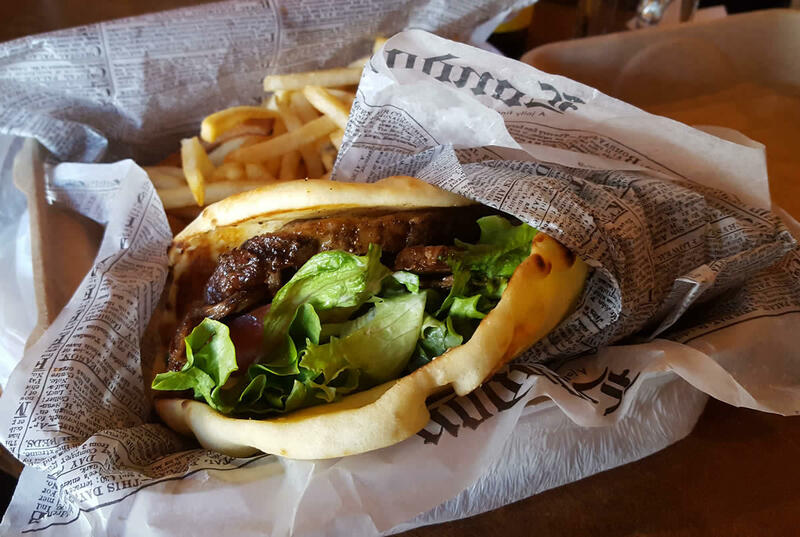 Burger joints focus on loading up toppings instead of creating a flavorful patty. Steak is almost always overcooked and improperly seasoned. Soups made from beef stock are nearly universally oil slicks, too unctuous to sip. Fortunately for me, I live in a place rife with great beef preparations. I can get house-aged Chateaubriand within walking distance of my abode at The Bears. Quality cuts of farm-fresh meat are just a quick drive away at various farms and a butcher shop. But it's a humble preparation -- beef and vegetable soup -- that is unrivaled. Hey, there you are, autumn! I've been waiting for you, patiently tapping my foot with arms crossed, hoping you would show up soon. Not that I was getting tired of all those garden tomatoes or anything, but I'm ready for colder weather and hot soup. A little piece of nirvana exists in the geographical center of Albany County. It's tucked away in a gravel yard in New Scotland behind a series of red barns, an unassuming tin-roofed trailer bordered by enormous pine logs and framed by a few ecru umbrellas. 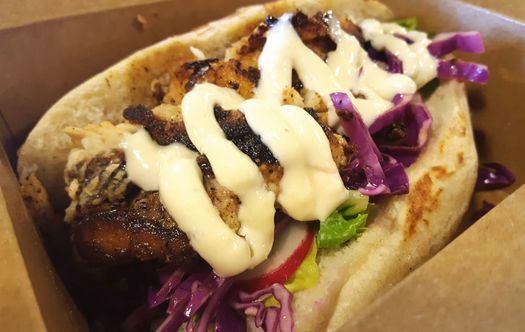 Unless you were passing by on a regular basis, commuting into Albany or off to buy a load of pea gravel for walkways and patios, it is unlikely you would find Wren & Rail, a food "truck" that serves fresh, seasonal, and locally-sourced food. Whoever coined the saying "absence makes the heart grow fonder" probably didn't mean for the quip to apply to a sandwich. 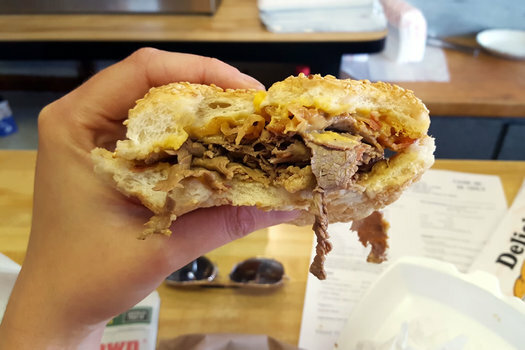 Hey, love comes in many forms, including -- but not limited to -- roast beef layered between bread. 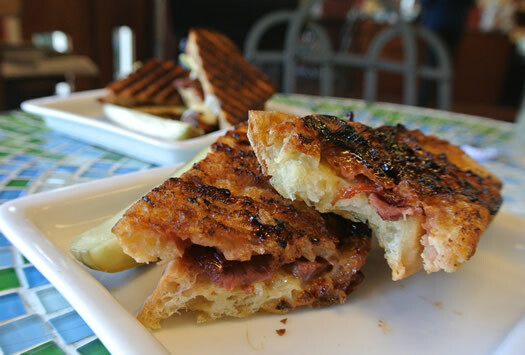 When people speak of comfort food, sandwiches are rarely listed in the ranks, but sometimes a PBJ just the way Mom made it, or a melty grilled cheese, provides a feeling of warmth akin to the embrace of a lover after a detente from distance or quarrels. The Super Neba from Mike's Neba in Schenectady offers the same. I was recently talking to a Capital Region native who moved to NYC for a few years before settling down back home. He said of all the great things New York City offers, the pizza in Albany is undoubtedly better, and so are the music venues (the little clubs that let you get right up close to the band). Call it happenstance, or call it good planning: I ate at Troy Kitchen with friends two days in a row recently. That's probably not a big deal for most people, but schlepping from my rural Schenectady County home (with two kids in tow) over to Troy during the evening commute hours isn't always an easy feat. The reward was worth it, though, especially since the inaugural vendors have moved out and new vendors have taken over booth space as part of the wonderfully conceived rental limits that are part of the Troy Kitchen concept. 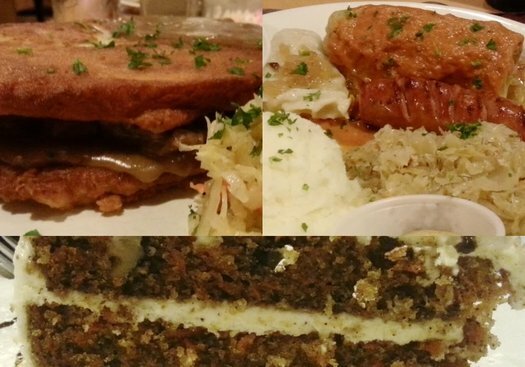 It was the perfect opportunity to do a dine-around and sample what the new menus have to offer. If you don't work in the Capitol corridor -- that section of Albany stretching from Dove to Broadway, extending a few blocks north and south, with buildings populated by state-related agencies -- you might miss many of the small eateries that are popular for quick lunches. 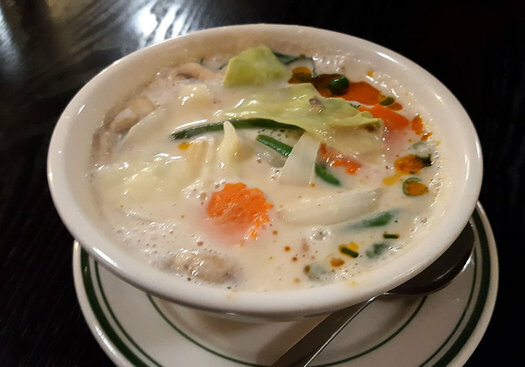 The grab-and-go sandwich shops, the small sit-down locations that offer momentary respite from the rigors of government -- and now, Emmanuel Thai, a barely noticeable restaurant that has quickly gained a downtown Albany following. Every culture and cuisine has its own version of a greasy spoon diner. Places with quick crowd-pleasing menu items that focus less on modern, qualitative platitudes (farm-fresh local zero hormone free range organic sustainable conflict-free!) and more on getting cheap eats dipped, fried, or otherwise laden in fat on the table with haste. 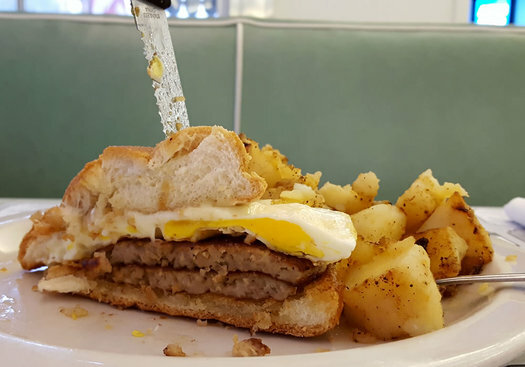 Greasy spoons are abundant in Albany, and in many ways, these sorts of establishments comprise the hallmark of our local eating scene. 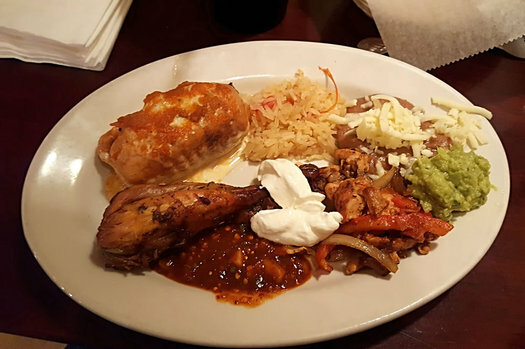 When it comes to the Tex-Mex variety, Sala Latina reigns, and its Monday night buffet is one of the best bargains in town. If you are a safe eater, someone unwilling to go beyond your culinary comfort zone, stop reading now. What I'm about to tell you about can only be described as Chinese grandmother cooking, and for the typical American palate, stagnating in predictable flavors and preparations, that's bad news. 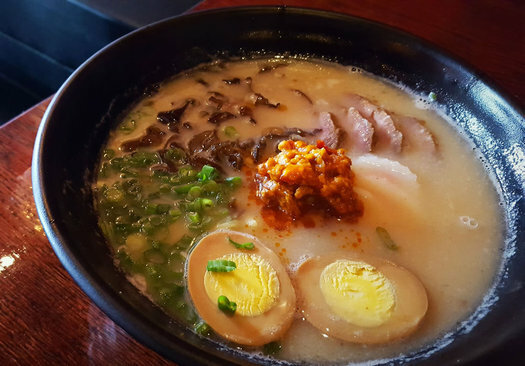 David's Uptown Noodle and its ramen menu are awaiting you. Fifth Tier Baking Studio is tucked into a section of Columbia Street in downtown Albany that feels like an alleyway, hidden away from the typical bustle of North Pearl Street. It's the sort of spot that requires a bit of sleuthing. With no seating and a limited menu, the shop isn't focused on creating a comfortable lingering experience for its customers. 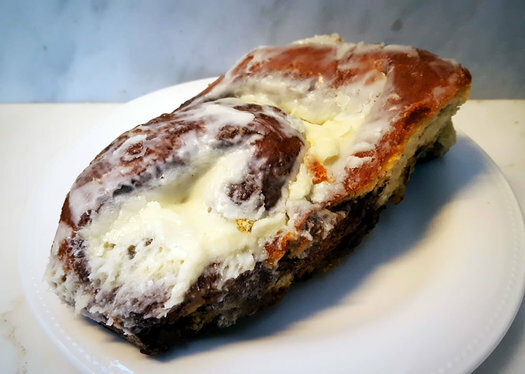 Instead, the focus is on production, churning out scones of sweet and savory varieties, jumbo-sized cookies -- and massive cinnamon buns that blend warm spice with sweet dough in a masterly fashion. People who work in the food industry often play a game of telephone (y'know, the one you played as a kid, passing a message to each other in a series of whispers) when it comes to good food. One person finds a place, mentions it to another, who then passes the news on again. I was the lucky recipient of the message in a triad including Celina and Daniel. Go here, they said. Try the whiting. Who am I to turn away from news like that? The place they passed along was The Breakfast Spot, a space vacated by the old Portelli's Joe N' Dough Cafe, a location that's hosted many incarnations of an early morning/late night (depending on how you view it) diner intended to serve locals and the work shifts that miss noonday food carts and regular-business-hour establishments. Tucked away in a skinny building on Central Avenue in Albany, it's a gem that's due for wider recognition. One of these donuts has Buffalo sauce in it. When you think of the Super Bowl -- that high holy American holiday -- and all the food and feasting it entails, the first thing you think of is donuts, right? Right! We thought so, too. That's why when Nick at Cider Belly in downtown Albany reached out to Daniel B. 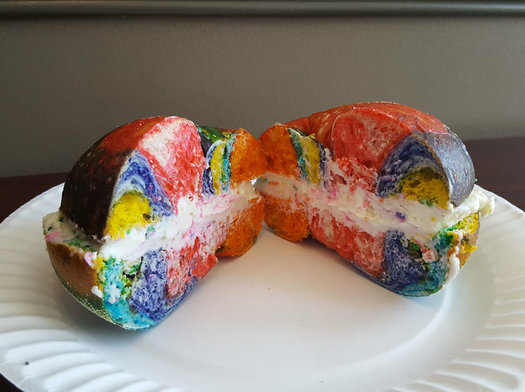 (and Daniel B. reached out to us) to come check out some donut creations inspired by the game, we jumped at the chance. 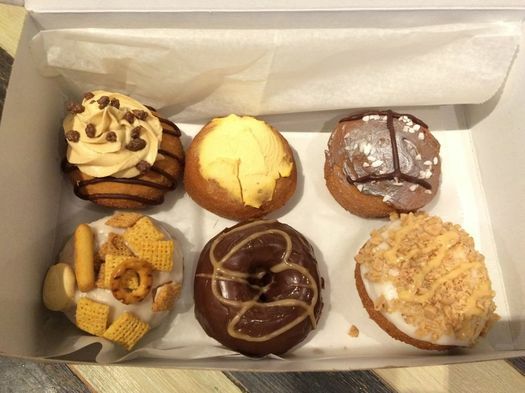 Fun names, interesting flavor combos, and an excuse to eat donuts for lunch like real adults. We're all for it. 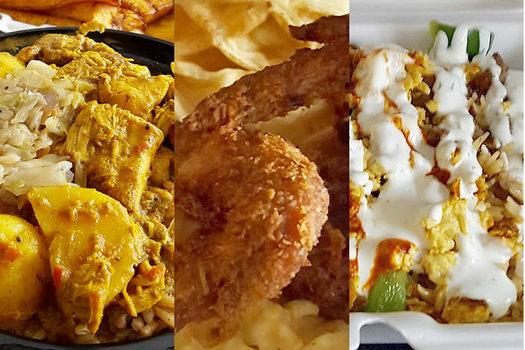 Exit 6 off the Northway is a surprising culinary destination in the Capital Region. Not hip by any means, nor safely walkable, there are unexpected bright spots of good food that makes one reconsider the notion that the suburbs are inherently void of worthwhile restaurants. Heading west off the exit, find Euro Deli and Ayalada. East, you'll come upon Tipsy Moose and A La Shanghai. Check it out: Steven Tyler was in Saratoga Springs last night, taking in a movie, as WNYT reporter Mark Mulholland posted the news in a Facebook photo with his son. What's he doing in Saratoga? Attempts to reach Tyler through social media and his management company haven't provided information yet. But he did fly on a private jet through Albany International Airport, and his visit provides a peek into how local restaurants provide catering for such stops. It turns out Tyler -- or someone with him -- likes his sweets. As a lifelong pizza eater, I've come to learn there really isn't such a thing as "bad" pizza. 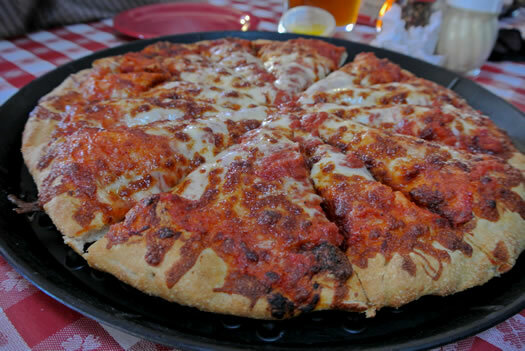 Sure, there's pizza that doesn't quite hit the mark of great -- or even good -- pizza, but even subpar pizza is better than no pizza. That fact became abundantly clear during the last few rounds of the Tournament of Pizza that I helped to judge. (RIP, TOP **kisses hand, points to God**.) 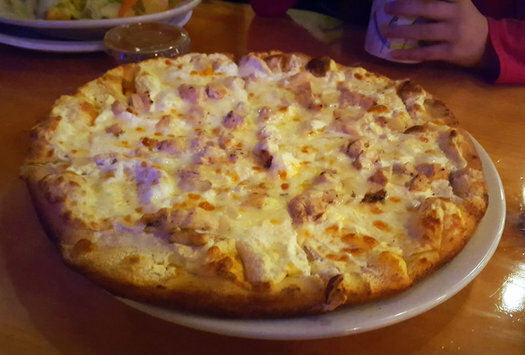 A few slices were questionable, in the kindest terms, but I didn't flat-out refuse to scoff down any of them. If you're going to break into the pizza game 'round here, you better be darn confident in what you are offering. Sometimes that comes via the actual pizza. Other times, it's an experiential thing. 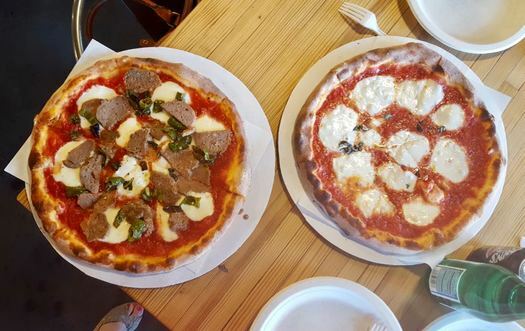 Mia Lucci's in Colonie gives us a little of both. Eating at the mall used to mean Sbarro pizza or chicken from a Chinese food kiosk. (You know you always bought it out of guilt because of the free sample.) Maybe you opted for giant hot pretzels with neon "cheese" sauce, Orange Julius, or the week's worth of calories with a Cinnabon. But malls are no longer just a place for power-walkers, angsty teenage meet-ups, or chain shopping; malls are becoming destinations for everything from underwear purchases to rock concerts. The dining is changing to keep pace. 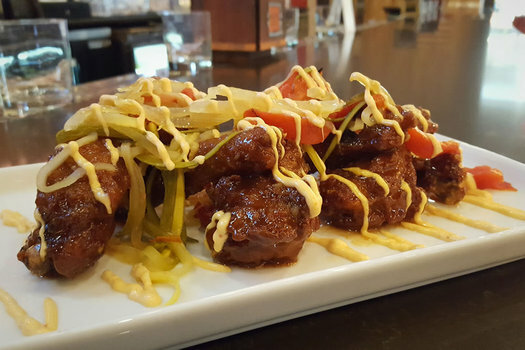 Take Rascals -- a business-in-the-front, party-in-the-back space -- in Crossgates that allows for fine steakhouse dining in one space, a sports bar with several large TVs in another, and a performance space with its own bar and dining options in the rear. The menu is designed to accommodate the varied patronage, but Rascals' take on chicken wings is a sure bet in any of the restaurant's environs. I've been spending Thanksgiving the same way for nearly a decade: My parents drive to my house from Central New York, my mother brings chocolate pie, Finger Lakes Riesling and Martinelli's sparkling cider, dinner rolls, and squash, and I cook and bake everything else. My dad puts the snowblower on my tractor while the turkey cooks, and my kids, parents and I sit down in the afternoon to enjoy the meal together. Sometimes more friends and family are there, but usually it's the five of us. 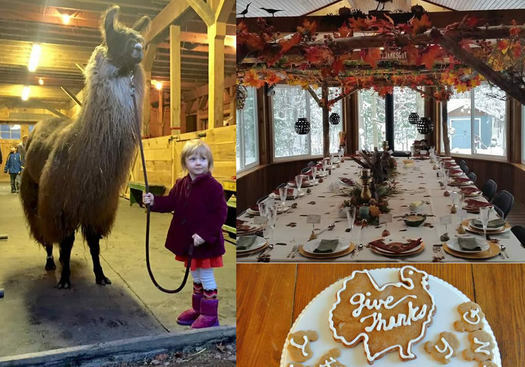 Curious as to what Thanksgiving looks like in other parts of the Capital Region, I thought I'd ask around. Considering French toast is little more than eggs, milk, and bread, it can be surprisingly easy to screw up. The KISS notion (keep it simple, stupid) is one that evades most of modern society. Bigger is still better, more is still more, and pairing it down to the basics seems like a weakness or cop-out, not an ability to be admired. Simple doesn't mean thoughtless, though: The opposite is true. Because there is less fluff to mask errors and subpar additions, all ingredients need to be of a particular quality and incorporated with consideration. Baking You Crazy, the bakery and cafe that replaced a small Italian restaurant at the foot of the Albany-Rensselaer train station on Broadway, employs these ideas across its entire menu. My winter jacket has been moved from the attic closet to the main coat rack in my entryway. It's here, friends. Or at least it's on its way. I'm talking about winter, of course. While my attire choices change, my eating habits often revert to different times. 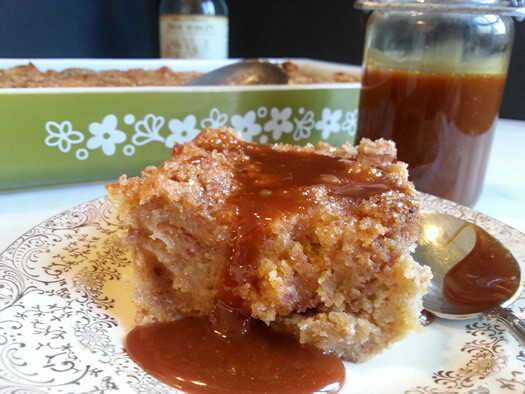 All summer long I crave slow-simmered stews and rich desserts. In winter, I lust after garden-fresh Caprese salads and cooling treats. To relegate tuna to the lower levels of the sandwich totem is an easy thing to do: Tuna sandwiches are stinky, leaving your breath, your fingers, and the room they are made and consumed in reeking of tinned fish. 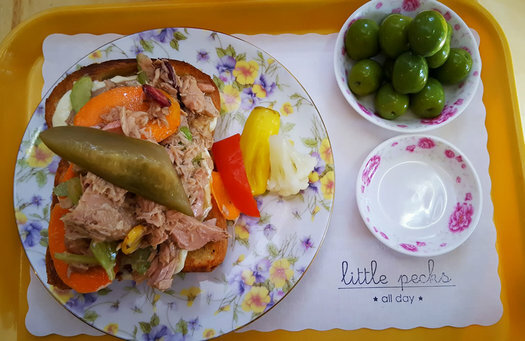 More involved but less portable than the PBJ, tuna fish is a fussy sandwich that is open to endless interpretation but always requires the same level of attention. Where a PBJ can be slapped together, thrown haphazardly into a zip-top bag and shoved into a backpack, ski jacket, or lunchpail, the tuna sandwich demands gentle, precise insertion into a storage and transport vessel, constant refrigeration of some manner, and delicate nibbles to protect the integrity of assemblage. Despite its particularities, tuna fish is sometimes an act of desperation. A can of tuna can be found in most home pantries for last-minute sandwich emergencies, and tuna or whitefish salad is often one of the cheaper options on deli menus. Still, a good tuna fish sandwich is a thing to marvel at. The perfect mayo-to fish ratio, the inclusion of additives to the salad, the choice of bread... a good combination of those things makes all the downsides of a tuna sandwich completely worth it. There is something about September that feels like such a fresh start. More than a birthday, more than New Year's Day, September for me has always been a time of intentional goal setting and beginning again with a clean slate. Maybe it's because for most of us, our year operated around the school calendar in our most formidable years. The start came just after Labor Day, with fresh clothes, new notebooks and pencils, and the promise that this year, anything was possible. 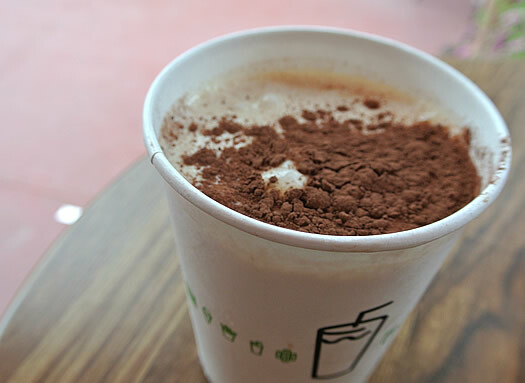 Like most other beginnings, something sweet it required to mark the occasion. 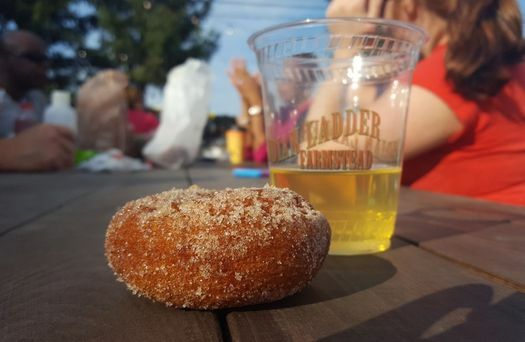 If you get a cake on your birthday, why not have a cider donut to welcome fall? That question is rhetorical, of course: Cider donuts are as much a harbinger for fall -- and that fresh start that rolls in with autumn's crisp air -- as a new backpack. Toast menu at Superior Merchandise Co. The first time I heard of a "toast menu" in a restaurant, my eyes rolled so hard I'm pretty sure I sprained something in my head. (My brain?) It was in an issue of Bon Appetit magazine in 2014, regarding a restaurant in San Francisco that did toast so well, it could rightly charge $4 a slice. 'Tis a fad, I thought, but then BA kept on publishing about toast. Later that year, "Toast is still happening. Get on the train." Months later, "27 ideas for toast." And my favorite, published this year, "Life before avocado toast: The 16 ways dining has changed since 2000." 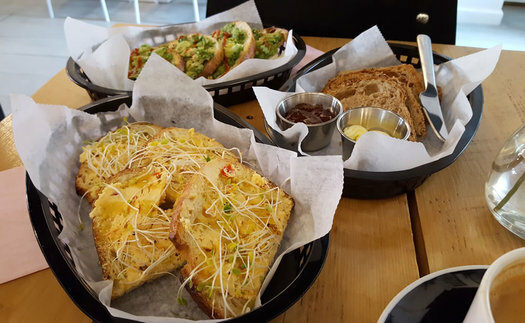 Should it come as a surprise that "specialty toast" has made its way to the Capital Region? Scoff if you want to, but toast isn't going anywhere, so we might as well play with it. That's what Superior Merchandise Company, in Troy, is doing. But don't take it as child's play. This toast is serious business. Jerry Garcia was right: "Once in a while you get shown the light in the strangest of places if you look at it right." Sometimes it does take looking in an unlikely spot to find the best things... like tacos. 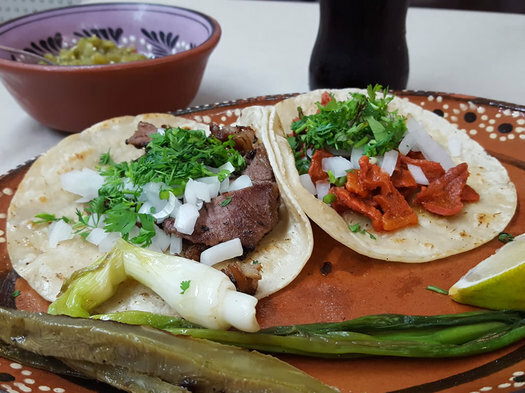 I think we can all agree on the culinary superiority of tacos. Combining major food groups into a portable, satisfying, wholly-delicious meal makes tacos the perfect food. Find me one person who doesn't like some version of a taco and I will find you 100 more to counter argue that point. And then let me take that one person to Oaxaquena Triqui, a tiny tacqueria sandwiched between a Mexican bodega and a can redemption center in Albany. The tacos there are cheap and made from scratch, freshly flavored, and served up quickly with a smile. Honestly, how can you do better than that? I recently had a conversation with two chefs transplanted to this area from Manhattan. When I asked them what they thought of the Upstate food scene, they answered exactly how you think they might: "There is no good food scene outside of New York City." I'm pretty sure my immediate reaction was an audible "pfffft" and an eyeroll so strong it shook leaves from trees. Of course they would say that, stuck inside a tony restaurant for hours upon hours, without any chance to scope out what's unique about the food landscape here. Fortunately they wouldn't have to travel far to sample the best parts of Upstate cuisine. Excelsior Pub, which reopened a year ago in Albany after a lengthy hiatus, serves up only New York State-produced wine, beer, and spirits -- with a food menu that hits the hallmarks of Upstate eats: Beef on weck. 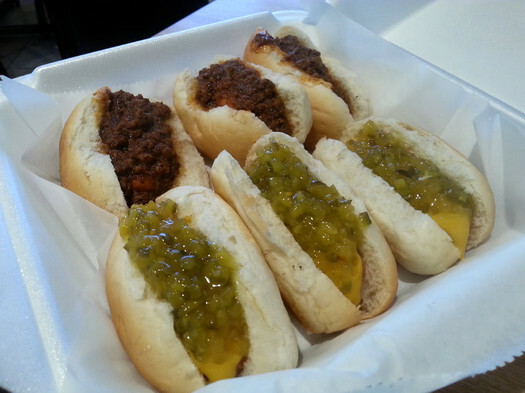 Hoffman's hot dogs, Buffalo wings, garbage plates. Not to be left off the list is chicken spiedies. 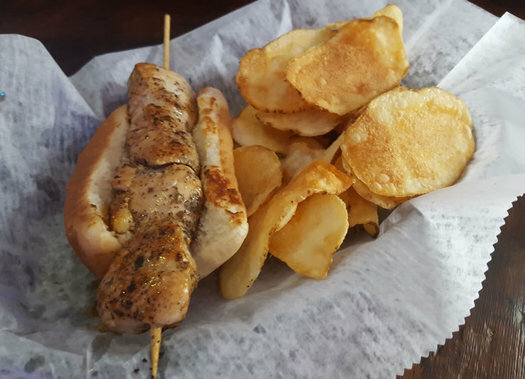 Not quite a sandwich and yet not something completely different from a sandwich -- sort of like a hot dog, or maybe a gyro, wherever that falls on the sandwich spectrum -- chicken spiedies are a true taste of Southern Tier food. Blackened Fish Po'Boy at Hooked Seafood Co. 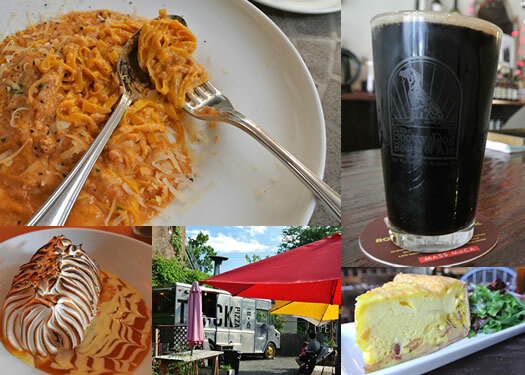 Some people say the Capital Region food scene is behind the times, a decade behind the trends in major metropolitan areas like New York City and San Francisco. That might be true. I think the decade span is waning, though, as social media keeps us connected to the food of elsewhere with unprecedented speed. Nevertheless, I don't mind if we are behind the curve a bit, for it keeps us from going through the same growing pains and trial-and-error slip-ups that more risk-tolerant, innovative cities experience. Take food courts, for instance. Why not let people like Corey Nelson (of Troy Kitchen) or Richard Rosetti (of Galleria 7 Market) go and suss out what does and doesn't work other places so we can benefit and keep our bellies full of good food here? A recent lunch at Galleria 7 Market, in Latham, cemented that thought for me. Just gazing into the oyster case at Hooked Seafood Co., which operates from the market, delivered me the option to try a fresh St. Simon oyster -- a perfect amuse bouche and gentle enticement to a lunch of blackened fish on a fresh roll. There's something about summer that begs for red meat to accompany all those light salads and that fresh produce. An aged steak, seasoned with salt and pepper and grilled to medium-rare perfection, topped with chimichurri, served with a corn salad. Yep, that's my idea of a great summer dinner. But that is my ideal at home dinner. The thing with a steak is that restaurants mess it up often, and consumers usually end up paying a premium for branding and advertising, and not really for a superb cut of meat. So when I'm craving beef and I'm dining out, I'm going for a burger. I can never get burgers to turn out quite as good at home as I can at my favorite burger joints. I'm a thin-patty kind of lass, but my attempts at home are thwarted by dry meat and crumbly burgers. I've heard only good things about Crave Albany, the burger and frozen yogurt place on the corner of Western and Quail in Albany's Pine Hill neighborhood. And my hopes to find a great burger came to fruition there -- once I could decide on which burger to order. Looking back through my entries in the Eat This archive, it seems that many of the things I suggest you go eat start off with me stating my distaste for that item as a whole. Frozen yogurt. Pastrami sandwiches. Salmon and bacon. This post isn't going to be much different. I don't really like cream pies. Something about the texture always throws me off. I mean, I like pudding well and fine, but so many times I've had cream pie (banana, chocolate, coconut) that err on the side of flan or gelatin more than silken custard. And that's just not something I want to put in my mouth. 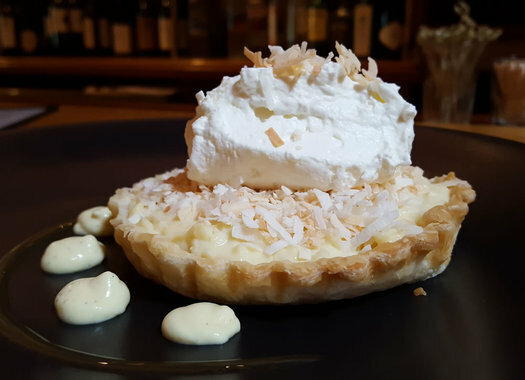 The first time I was offered a bite of the coconut cream pie at Restaurant Navona in Albany, I hesitated. I didn't want to cap the delightful meal I just had with something that would just put me in a cranky mood for the rest of the evening, perpetually disappointed by cream pie. But this coconut cream pie isn't anything like I expected, and that's a good thing. Here's my theory on where to find good food: If the parking lot is full of a diverse array of cars, from luxury SUVs to old jalopies, the likelihood good food will be there is high. Middleburgers, an old food trailer given a permanent home in the middle of a field, is a great example of that. Many times I have driven by, but never ventured to stop. That finally changed last month after a hike up Vroman's Nose, when I initially drove past, saw the bevy of cars in the gravel lot, and swiftly pulled a U-turn to check it out. 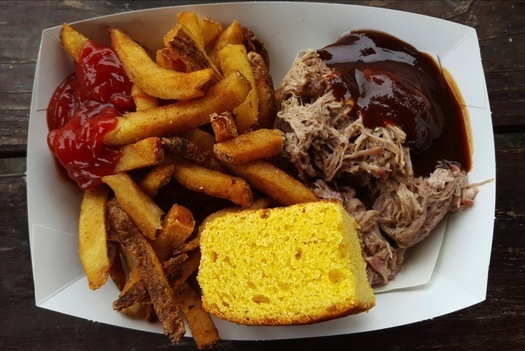 Good barbecue isn't hard to find in Upstate New York; great barbecue, however, is another matter entirely. 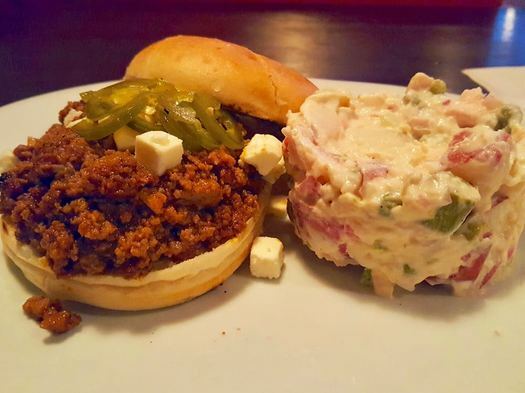 And if Middleburgers -- aptly named and found in the town of Middleburgh -- is any indication, an overlooked field is the best place to find it. "Can we try Buffalo wings sometime?" Finally. My youngest child is now a true Upstater. 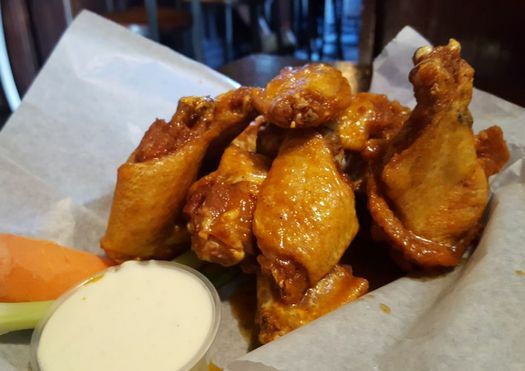 A kindergartener in public school, it was only a matter of time before he heard about wings and was tempted to try them. He was barely off the school bus when he asked, and then asked again, and asked a subsequent half-dozen times over the next few days. It was happening. 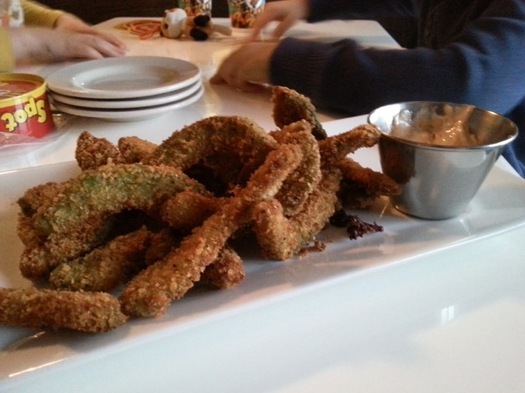 We were going out for his inaugural taste of this quintessential Upstate New York dish. But where do you go to make sure the first bite is a good introduction? I love the idea of a food court. Part of my college decision came down to the schools with the best cafeterias. There is something so American about being offered a plethora of food options without having to walk too far to explore them. Sadly, most food courts are depressing. Just look at most malls. It almost gives the term "food court" a biased, bad reputation. Unless -- like me -- you grew up in a magical land shaped by the mythos that is Wegmans and its epic food court, there is little hope when one hears that term. We have no Wegmans here (yet), but there is light in the dark tunnel of "food courts." Galleria 7, on Troy-Schenectady Road in Latham, is part of it. As is Troy Kitchen, the food court that recently opened in the old Pioneer co-op grocery building on Congress Street in Troy. As much I love options, I'm basically ruined from trying most things that are offered at the handful of food stalls within Troy Kitchen. 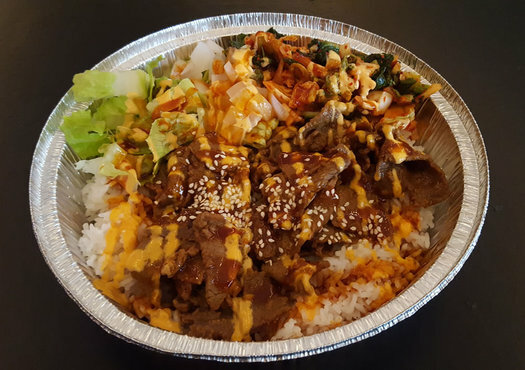 Because the Hot Plate, from K-Plate Korean BBQ, is my new go-to. You can smell Chester's Smokehouse in Albany before you can see it. In most circumstances, one should take that as a warning. In this instance, I urge you to proceed with haste. That is, go immediately. Once the intoxicating smell of hardwood smoke draws you in, your eyes are treated to yards-long display of meat and cheese, the beneficiaries of all that smoke. Of course, if you are a vegetarian, this place might not be for you (that smoked cheese, though...), but for the omnivores among us, the sight of all that meat -- from classic Kielbasa to custom takes on Slim-Jims and jerky -- is enough to have you whimper in pleasure. At least that was my reaction. Needless to say, once I laid eyes on that pastrami sandwich, the cartoon AH-OOO-GA horn in my mind went off and my jaw went slack. If ever there were a sandwich, this was it. That old adage that it's better to have one good friend than many mediocre ones is so true. And thankfully I have not only one good friend, but one that's also willing to eat basically whatever I put him up to. The truth is, I am lucky to be rich in friendship, I just can't say that all of my friends are willing to tag along on all of my food adventures. My pal Craig, though, is one of them. So when we meet up for our regular lunch dates to talk about beer, history, kids, and whatever else is on our minds, I also know I can drag him along to eat whatever I'm feeling at the moment, as long as it's in downtown Albany (to accommodate work schedules). 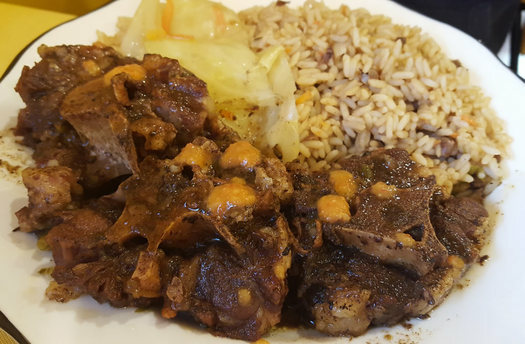 Feeling tired of our usual haunts, a cursory search for "lunch, downtown Albany," on Google netted me a little jewel I've never heard of: Trinbago. Next door to Lombardo's On Madison Ave, the internet told me, but admittedly I walked past it twice and then went in the wrong door before realizing where the restaurant was. What a lucky find it was. 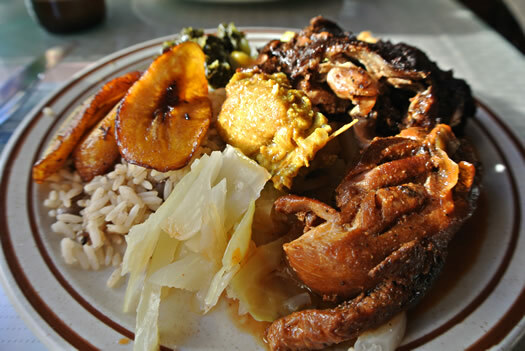 Bright, spicy flavors of the Caribbean perked up a dreary mid-March afternoon. The kindness of the staff and owner were enough to put a smile on my face. 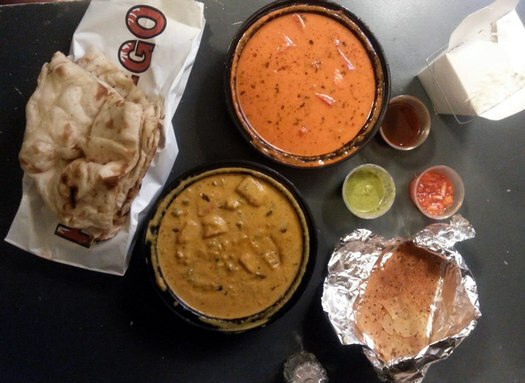 Paired with a great conversation with an even better friend, Trinbago might end-up being my new go-to lunch spot. Do you ever really miss your mom? I do, especially when I am sick. Growing up, my mom used to make me Campbell's tomato soup with extra saltines, a juice box, and a crunchy peanut butter and jelly sandwich, cut into triangles. But now I'm the mom, and moms don't get sick days. 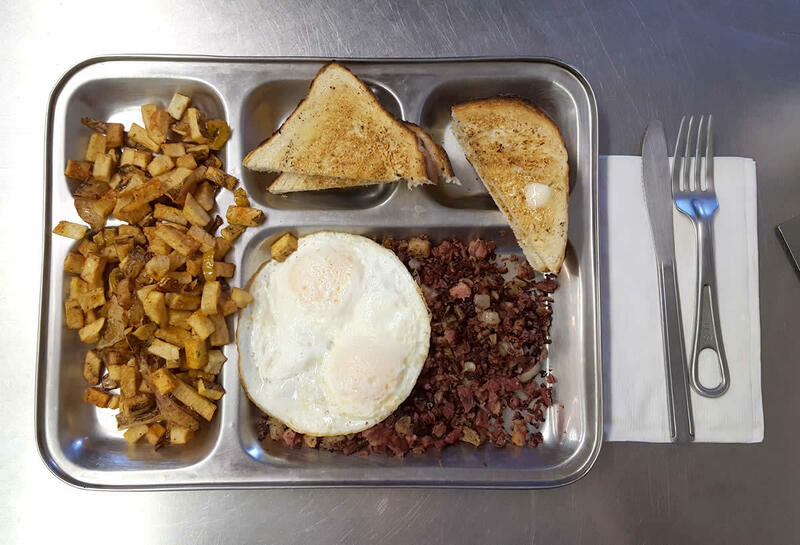 No one is there to make me a soothing meal when I'm feeling under the weather, but thankfully there is The Breakfast Spot (TBS) in Cohoes, which serves up meals that comfort from the inside. Having breakfast at TBS feels like a trip back to childhood, though not my childhood; I was born in the 80s, and the decor at TBS feels straight out of a diner from Leave it to Beaver. Nostalgia never hurt the healing process anyway. Still, the food at TBS alone can cure what ails you. 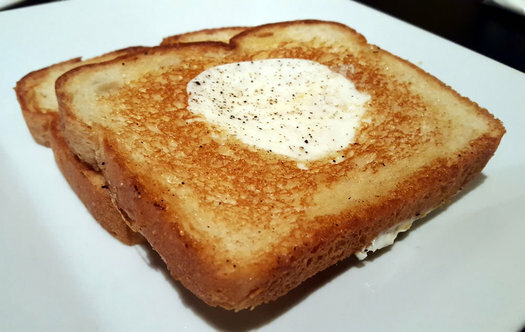 Case in point: Toad in the Hole -- or what TBS refers to as Egg in the Bread. 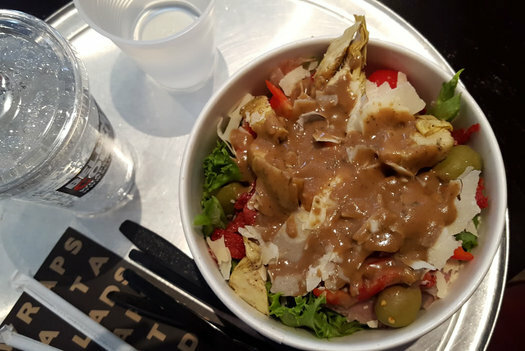 The fast-casual concept is the hot ticket in restaurants these days. It is why places like Chipotle, Blaze Pizza, and the upcoming Troy Kitchen continue to flourish across the dining scene. Sitting down and ordering with a server is so old-hat. We Americans are a busy bunch! Give us quality food on the go and don't make us wait too long for it. 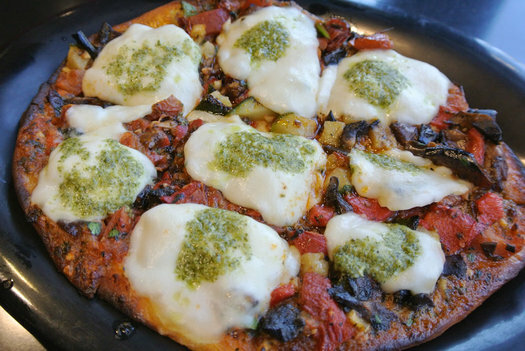 But one cuisine that is unrepresented in the local fast-casual marketplace is Italian fare (save for pizza). Is it possible to get a hearty bowl of spaghetti and meatballs with haste? Bellini's Counter -- the fast-casual offshoot of the local Bellini's Italian restaurant chain -- seems to think so. And they are willing to bet that the food you've come to expect from more formal sit-down restaurants can be had just as easily in this quick-serve format. I think it's fair to say Bellini's is cashing in on that bet. Restaurants, for me, are like bad boyfriends. I take them back time and time again, even when they aren't that good for me. Disappointment looms, but sometimes things can change, right? This bad habit has mostly waned, at least regarding restaurants. I realize anyone can have a bad night, but if a restaurant does me wrong by way of bad service, poor food quality, or lacking atmosphere, chances are good I'm not going back. A relapse now and then can be good, though. 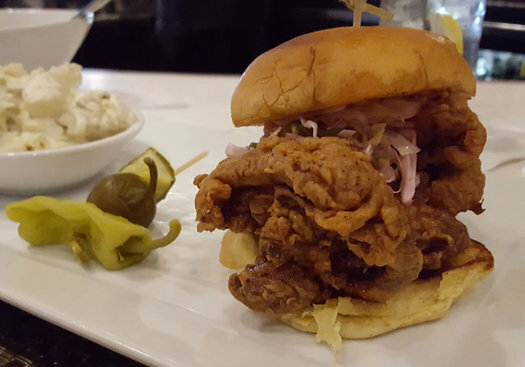 Case in point: The pickle-brined fried chicken sandwich at 677 Prime in Albany. I'm glad I went back for a second try. And, of course, you could probably use a little something to nibble on, too. I am a sucker for anything "General Store" related: Cooperstown; Hillsdale; Fort Orange. I patronize them all. 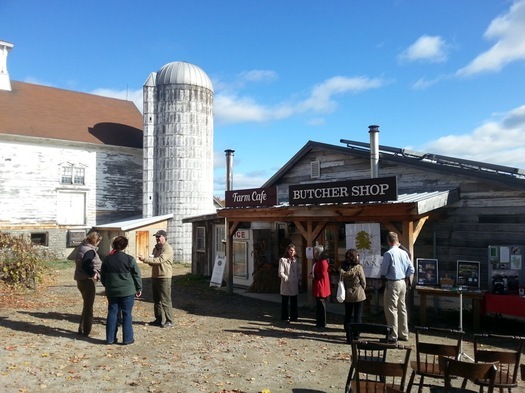 It likely harkens to that great general store that was the hub of village activities in my hometown. It's only a memory now, as the building it was housed in -- the Cox Block, the grand madame situated on the corner of the crossroads -- burned just before Christmas last year. Maybe subtly grasping at nostalgia is the general store draw for me. So when a friend suggested that we check out the recently-opened Vischer Ferry General Store in the sleepy, historic Clifton Park hamlet, I was all for it. A modest website suggested little on what I might find there (except for charm and an old-timey feel), so I went in blindly, assured by my friend I could at least have coffee there. She said nothing of Dutch drinking chocolate. These are the kinds of surprises I can fully get behind. OH, DANG! You have a holiday party to go to, and you blanked on bringing a gift or a dish to pass, didn't you? Don't worry, it happens, especially with the hustle of the holiday season. Fear not: We, your dear friends in the holiday spirit, are here to set you on your merry way with a few suggestions for last-minute grab-and-go items that will have everyone thinking you've definitely got your ho-ho-ho together. I love bacon. I'm just not a fan of it on a sandwich. Unless it's a BLT. And in that case, I'm not even really that enthused about the idea of bacon on a sandwich. Next to pancakes, or sliced into lardons in sautÃ©ed Brussels sprouts? Heck yes, bacon all day long. Otherwise, meh. The same holds true for salmon. I like most seafood and fish, but salmon can be a bit boring sometimes. And being the empiricist that I am, past experience sampling salmon burgers or other types of salmon sandwiches have conditioned me to avoid salmon-between-bread at most costs. 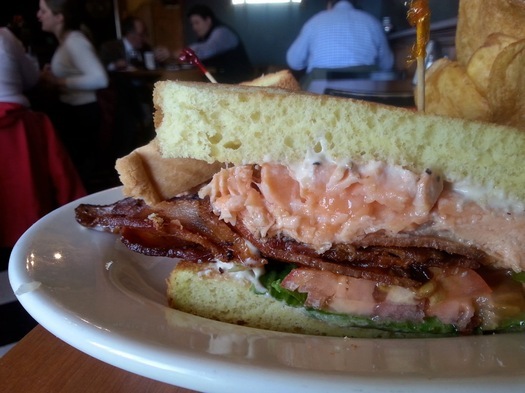 But while recently having lunch with my friend Craig (of Albany Ale fame) at Public House 42 in Albany, he insisted I try the salmon BLT -- a sandwich he had enjoyed before and thought I might like -- and try to quell my doubts on the integrity of the menu item. On some of the oldest real estate in downtown Albany -- Clinton Square -- lies a small piece of France. 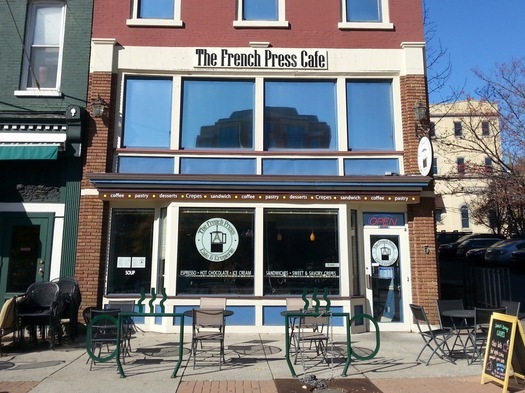 A French cafe, in fact, that churns out classics of French cuisine, like baguette sandwiches, cafe au lait, and crepes. A taste of France in this area is nothing new: French fur traders were some of the earliest Europeans in the Albany region. 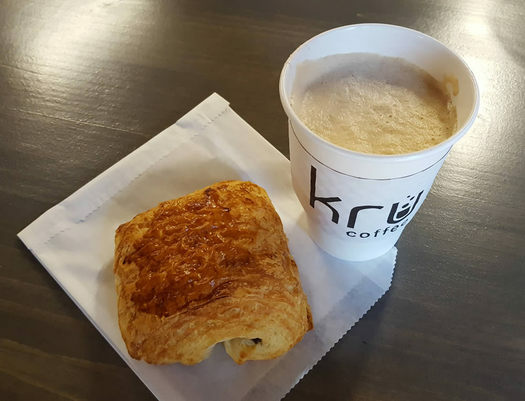 Throughout history, France and America have traded barbs are readily as they've supported each other when Le Merde hits Le Fan; regardless, we've embraced French culture and perhaps appreciate it best through food: Croissant, macarons, boeuf bourguignon, wine. Romantic notions of what France is draw American visitors regularly to the country, though experiencing it first-hand is a mere Gene Kelly-esque pipedream for those of us with wanderlust bigger than our bank accounts. But thankfully, on the cobblestone promenade just west of the Hudson River, we can find a budget-friendly glimpse of France at The French Press Cafe and Creperie, where we can linger en plein air on wrought iron bistro seating, sip our coffee, and indulge in that wonderful French creation: The crepe. 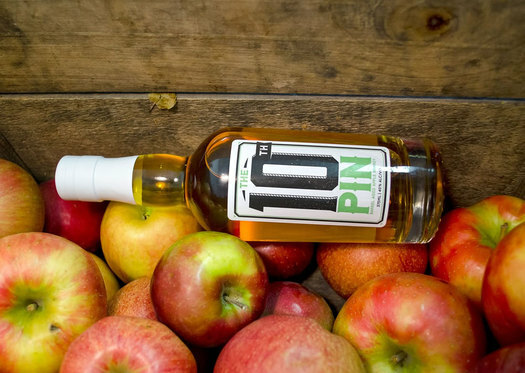 Hard cider is one of the many growing segments of the state's craft beverages industry. We wrap up Following Food week with a few drinks. 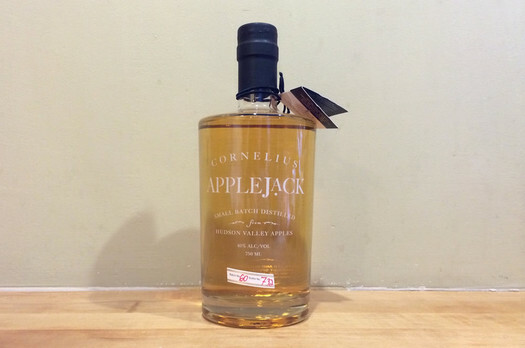 I write frequently about the beer, cider, wine, and spirits industry, and to be honest it is hard to keep up with the frequency at which another craft beverage producer is launching, or when new craft products are being released. New York State is a hotbed for craft beverages, and it doesn't seem to be slowing down. Just ask Andrew Cuomo. 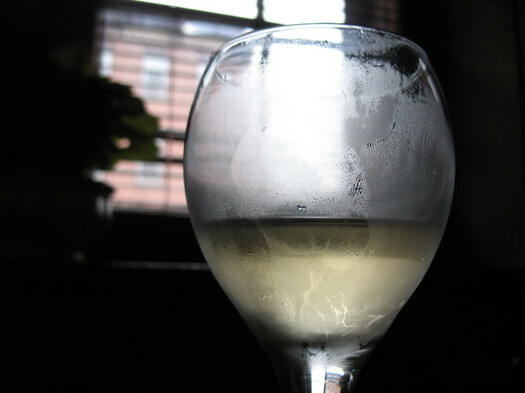 Last month, his administration held the third wine, beer, spirits and cider summit in Albany that brought together beverage makers, farmers, politicians, and bureaucrats to discuss the progress made in the beverage production in New York State. "Our investments in the farm-based beverage industry have created a synergy of economic momentum for wineries, cideries, breweries and distilleries. That momentum is fueling opportunity for small businesses across the state, and we are going to keep it coming well into the future," said Cuomo, who then announced a series of investments and initiatives totaling more than $16 million to support the beverage industry's growth. Happenstance is a wonderful thing. You never quite know what life is going to bring your way. 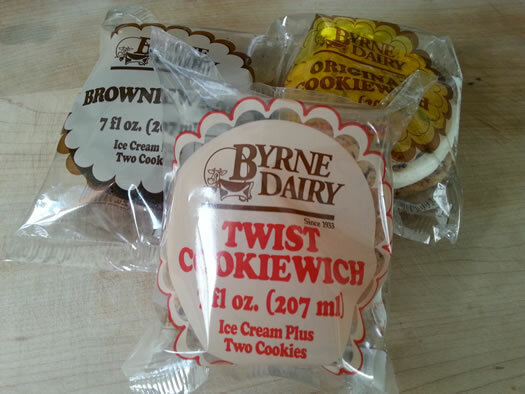 If you are lucky, that means many delicious morsels will grace the path (luckier still if you are wise enough to embrace and savor them). When I went up to Ballston Lake on Friday for a state Department of Agriculture and Markets press conference at Wm. H. Buckley Farm, I was expecting to get some insight on both new stories and story lines I have been following for a while. I wasn't expecting to eat, let alone taste, some of the most tender and flavorful roast beef I've ever had. Lately, I've been feeling wanderlusty. Don't get me wrong -- Upstate New York in fall is a wonderful place to be. I relish and marvel in it every year. 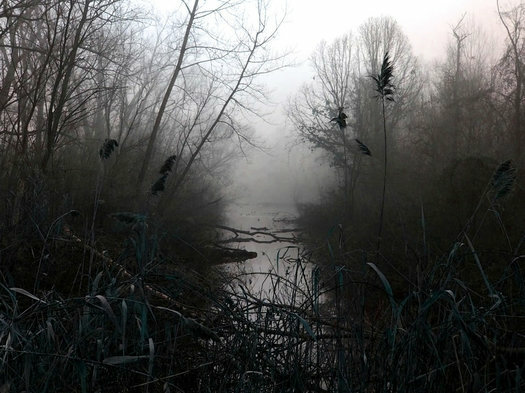 But I've also had this desire to uproot myself and go explore a less familiar territory. Maybe it is the change in seasons that has me yearning for a change in my own life, too. Whatever it is, I've got the travel itch; unfortunately hopping on a plane to some exotic locale is not in the cards for me in the moment. I did the next best thing: Took a day trip to explore unknown towns around me, and tucked into food that would transport me to another place. Cerulean seas were calling my name. 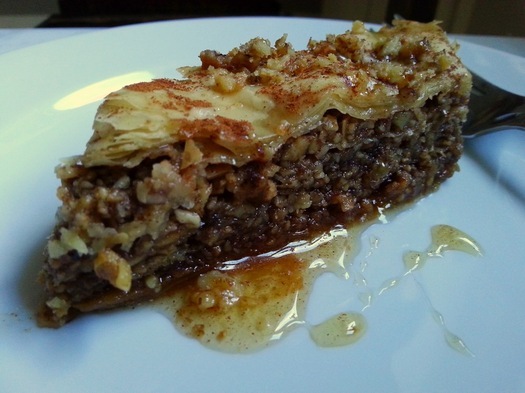 I opted for a piece of baklava instead. We are killing the American palate. Or maybe we killed it long ago. In a land of more is more and bigger is better, we've lost an appreciation for small nuances in food that give it true character and speak to the origins of the recipe. Don't give us a classic roasted chicken; instead, give us just the wing, doused in fiery, sticky burnt-orange sauce that masks the chicken itself. Post-World War II American culture saw the rise of heavily processed foods that oversaturated our palates with salt, sugar, and additives. We've dimmed our abilities to recognize true flavor because of how accustomed we've become to the overload of flavor enhancements pushed upon us by Big Food. Now, if we don't feel kicked in the teeth with astringent, bracing piquancy, we write food off as bland and boring. 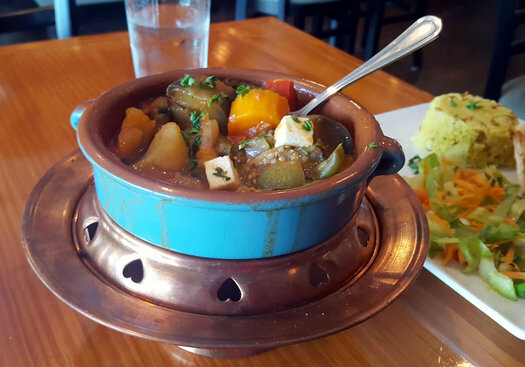 Muza, in Troy, debunks this conception, proving that traditional foods prepared in simple ways can still pack a punch without walloping us with artifice. I was recently granted one-way passage on the bridge between "You are the best thing I have ever known" and "I never want to see you again." That is, I just went through a gut-wrenching break-up. The kind that makes you wake up in a sweat at 3 am, unable to breathe, unable to sleep. Your mind replays the highlight reel of your relationship before quickly delving into the hopelessness of ever feeling happy or alive again. And you might as well forget about eating; nothing tastes as delicious as the ghosted lips that linger on your mouth. When the desire for satiety arises, it is more likely gin on the rocks you reach for, but instead of sipping, you get lost in running your fingers around the rim of the glass, collecting the beads of condensation with your index finger and rubbing them into oblivion with your thumb. If not for feeling like nothing, you'd feel nothing at all. And in those moments, you reach for your best friends. 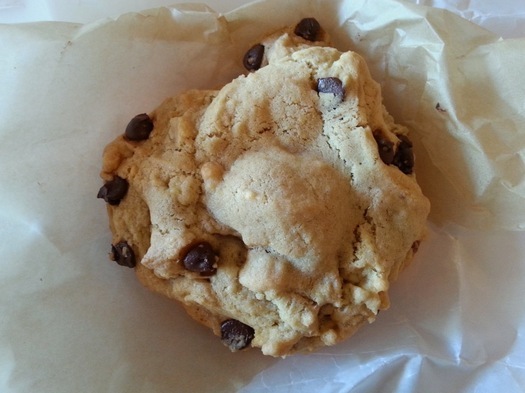 Or in my case, a Girl's Best Friend cookie from Bake For You. The unofficial last week of summer is upon us -- that time between August and Labor Day, when the calendar says it is time to sharpen our pencils and pull sweaters out of storage, but the weather claims cut-offs, beach towels, and ice cream. 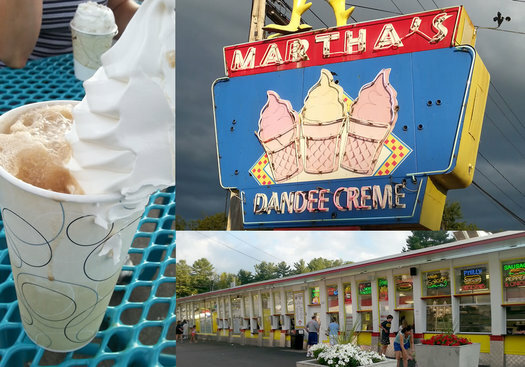 The Capital Region is flush with classic ice cream stands, but few stand out the way Martha's Dandee Creme, just outside of Lake George, does. 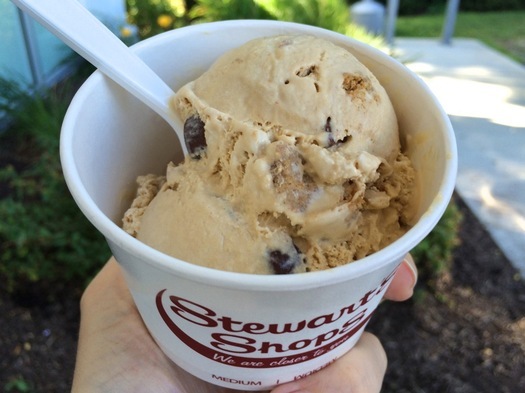 "Happy Camper" ice cream from Stewart's got a mention. Seasonal foods are one of summer's pleasures. Fresh berries, salads, corn on the cob, and ice cream from a favorite seasonal stand are the stuff of many summer memories. 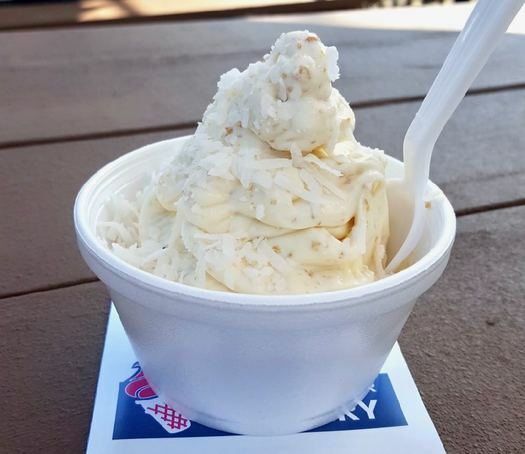 So if you could have your favorite summer treat from anywhere in the Capital Region, what would it be? Deanna Fox asked a few local food lovers that question. Driving into Rensselaerville, the small and historic Albany County hamlet in the town of the same name, is like taking a trip back through time. Things move a little slower. The locals speak in less hurried tones. And just as everything old is new again, the food at the town's public family room -- The Palmer House CafÃ© -- adheres to the old habit of using local, seasonal produce and ingredients to craft a meal. Farm-to-table was a way of life for eaters in decades (centuries) past, but today it's one of many options. 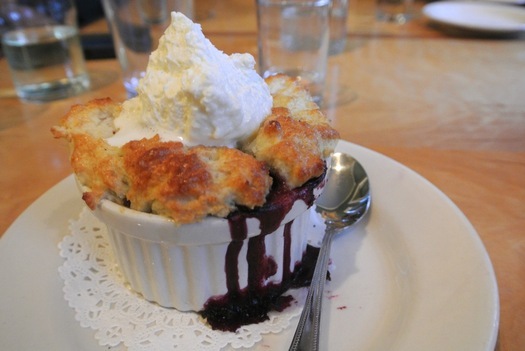 The Palmer House's peach blueberry cobbler is just one example of why this option should be priority once again. There are universal norms when it comes to street foods around the planet: It must be cheap, it must be portable, and it must be filling. 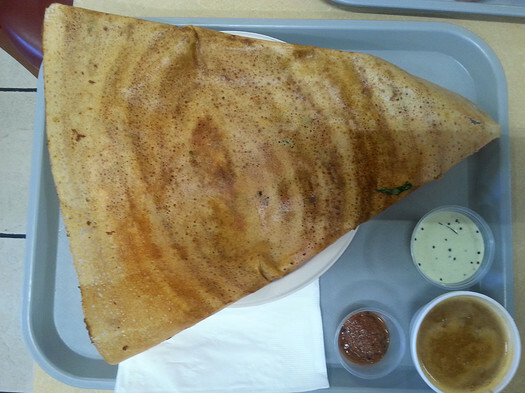 Dosas are the classic Indian-style version of a crepe that hits all these markers. And Parivar -- the Central Avenue Indian supermarket (No, not that one. Or that one. It's the one with the peacock on the sign.) -- serves them up fresh and piping-hot, just like one would get from a vendor's street cart in an alleyway in New Delhi or Mumbai. But unlike a street cart, Parviar lets the eater indulge from the comfort of indoor seating in a nice air-conditioned cafÃ©. It takes a lot of chutzpah to start a hotdog joint in the Capital Region. We know our hotdogs, especially mini dogs. While other parts of the state have their own spins on hotdogs -- Plattsburgh: Michigans, Syracuse: white hots, New York City: dirty water dogs -- mini dogs are the exclusive claim of the Capital Region. Others try to replicate, but few meet the standards we find here. And as it is, we already have enough mini dog eateries to keep us well-stocked. From Famous Lunch to Ted's Fish Fry, one doesn't have to look far to find a decent mini dog. But now there is one more: Pete's Pups, in Rotterdam. And while it may be easy to overlook a new kid in preference for an experienced veteran, this underdog doesn't just bark, it bites with full force, too. I have heard people say the Capital Region lacks in great food. I'm telling you that statement is false. 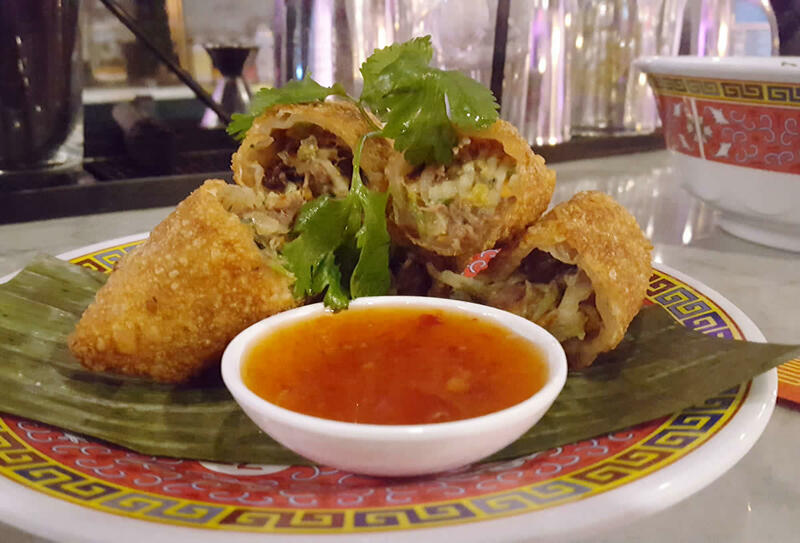 Great food doesn't have to mean high-end haute cuisine. Not everything must be processed through a sous vide machine and dolloped with foam to be "good." 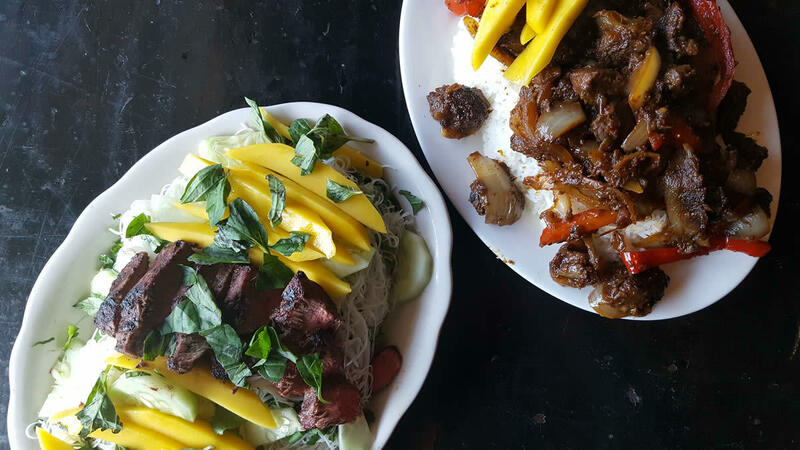 What we do have here in the Capital Region are some wonderful hidden gems of ethnic, street-inspired eats. 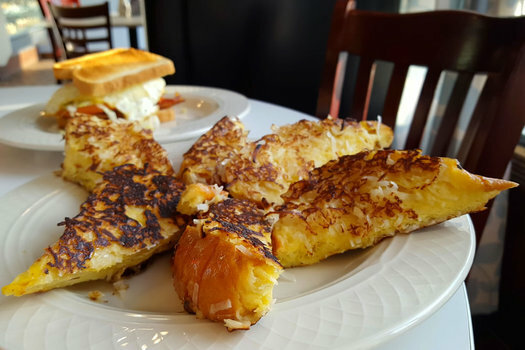 We might not get every type of regional cuisine right each time, but we certainly have some shining stars. 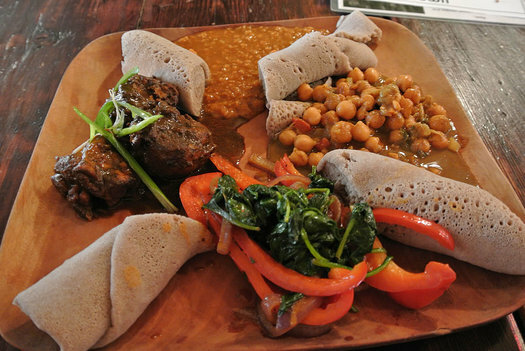 And the Ethiopian platter at Umana is one example. For as long as I can remember (my downtown Albany memory only stretches 11 years back), there has always been an eatery in the One Commerce Plaza building on Washington Avenue, across from the Alfred E. Smith building. But I don't remember anyone going there, or suggesting we stop there when I worked in politics, after a day lobbying at the Capitol. Even the shiny exterior of the building wasn't enough to draw me inside. The neon-colored sign? Nope, still never went in. It just seemed so non-descript, even as a modern structure placed in the midst of buildings with Grecian columns and centuries-old brick and limestone. 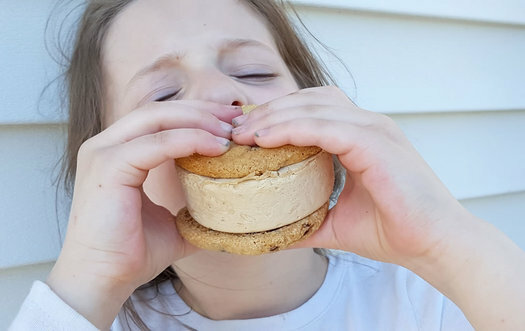 It took me a few years away from that scene -- and a picture on Instagram -- to make me change my stance and give A Better Bite a try. Blueberry-vanilla twist, with lemon curd and and cookie crumbs. A moment of confession: I do not like yogurt. Growing up, I would watch my mother spoon plain, tangy yogurt topped with fresh fruit across her lips as her morning meal. Today I find myself close with someone who revels in the thought of thick Greek yogurt topped with local granola and stewed rhubarb. I just can't get behind it. For reasons of taste or texture, it weirds me out (and I say this shamefully, as someone who has made a life around food). The same holds true for frozen yogurt. 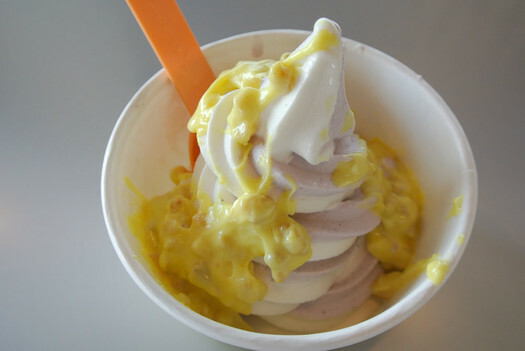 Many friends have prodded me to try frozen yogurt as a means to hop on the yogurt bandwagon, but it all left me underwhelmed and questioning the appeal. That is, until I reluctantly tried Ayelada's frozen yogurt in Latham. Like Darth Vader realizing the error of his ways, or Elizabeth Bennett finally conceding to the appeal of Mr. Darcy, I now feel compelled to change my position. How is it that I have lived in the Capital Region nearly eleven years, and Saati has just recently come into my gastronomical consciousness? I'm not sure, but I'm glad it has. 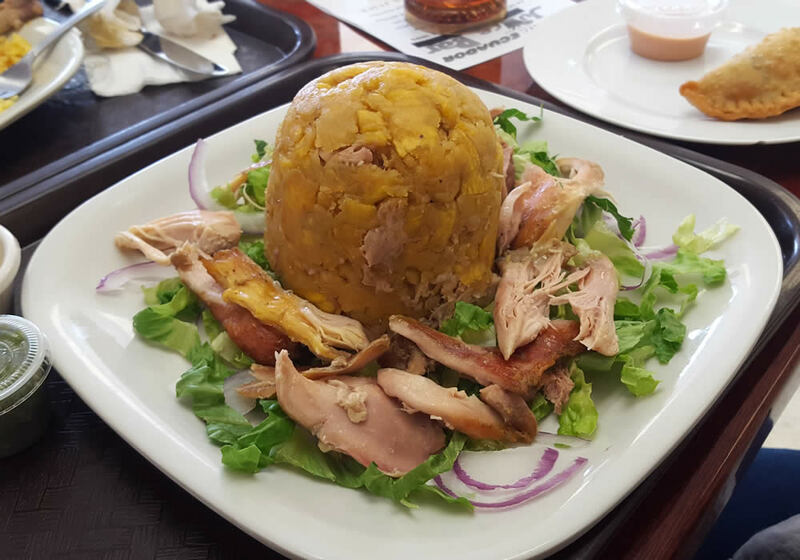 With an extensive menu and convenient location, its popularity shouldn't be questioned: Think about a dish from any variety of deli. Chances are Saati has it. Beef kebabs nestle in next to pastrami sandwiches on the lengthy list of offerings. 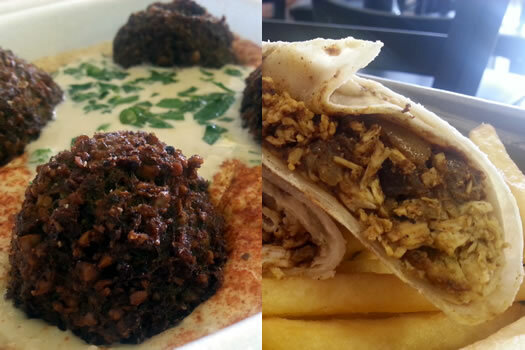 Saati's offerings have a Mediterranean and Middle Eastern bent, so that's a good place to start. They say you can't teach an old dog new tricks, but no one told Ted's Fish Fry that. Ted's, the culinary mainstay of the Capital Region eating scene, has been pushing out fried seafood for generations. The first restaurant opened in the 1940s and has changed little in the more than 60 years since. If the food wasn't good, it would feel staid and dated. 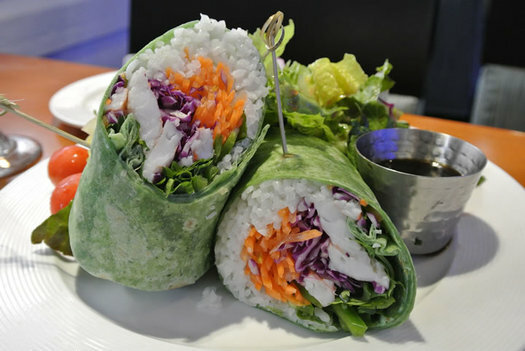 But thankfully, it is good, and stays current and fresh with subtle tweaks to the menu. Including fish tacos. 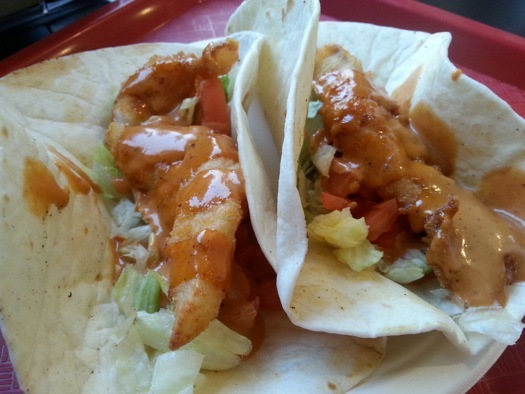 Thank goodness for fish tacos. 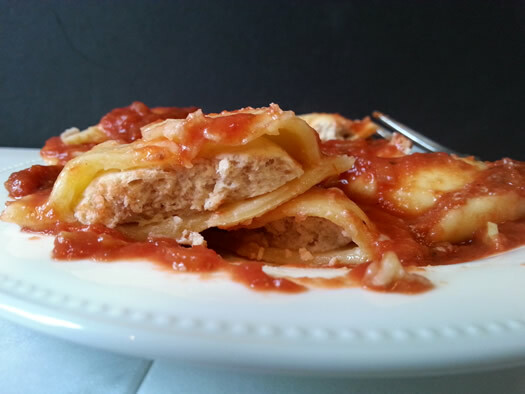 For being such a simple thing, ravioli can be tough to get right. When I'm not writing and producing media about food, I teach cooking classes. And in one of my most popular classes we make ravioli. There is certain finesse to the art of pasta. 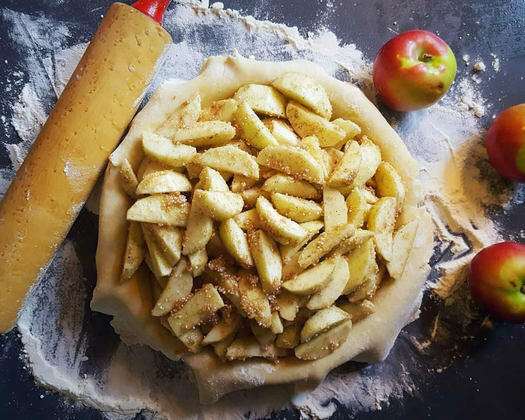 The dough and fillings are usually quite minimal in terms of ingredients to make them - usually no more than five ingredients in either - but the way in which it's made is the important part. You must be gentle, yet firm. You must be quick, and also slow. Lucky for us, we live in a place that has plenty of good pasta. And one of them is Ragonese Imports in Albany, whose take-home ravioli boxes are a standout among the offerings of the area's many Italian import stores. 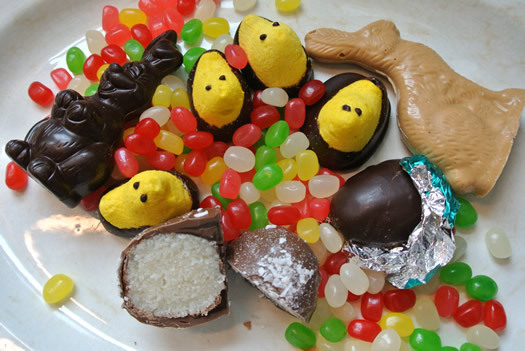 Just moments before I sat down to write this post, I subjected myself to tasting (that is, gobbling down) a selection of Easter-themed candies from Krause's Candy in Colonie. 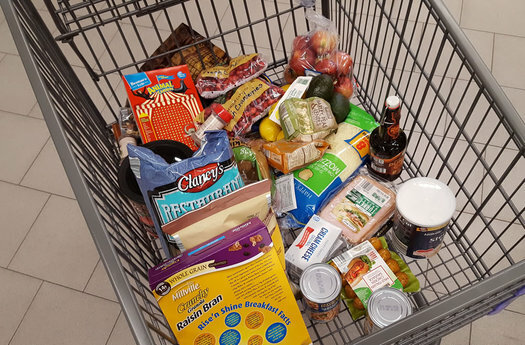 As I rode the sugar wave, it became clear: Ditch the aisles at Big Box Store for filling holiday baskets, and make haste towards Krause's for your Easter treats. Glens Falls seems to be going through a bit of a culinary renaissance, with many new eateries staking out a spot in the last few years. Chefs with regional ties have come back to assert their influence on the dining scene, and longtime favorites continue to flourish with a revitalization of the downtown area. And with much to be done between meals -- both in town and farther afield in the nearby Adirondacks -- there's no doubt you could spend a full day in and around Glens Falls. 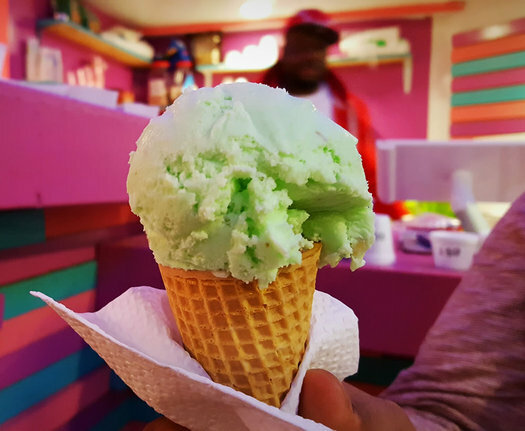 Though milder weather is apparently on the way, ice cream probably still isn't at the top of your mind. 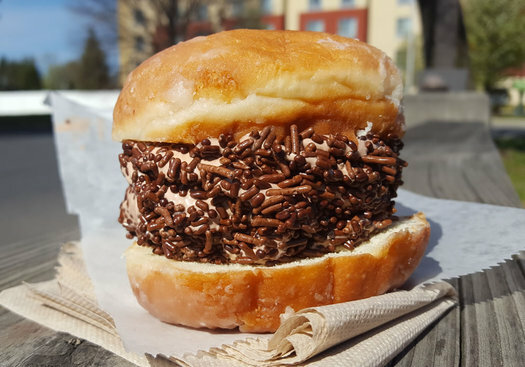 And it has one thing Stewart's doesn't: ice cream sandwiches. A different spin on the classic: potato donut exterior, with mashed potato in the middle. 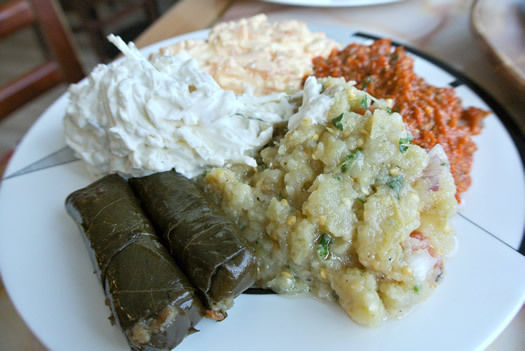 One of the ways different cultures spread beyond their originating communities is through food. And the culture of Eastern European Jews here in the United States is no exception: foods such a bagels, pastrami, and latkes are now enjoyed by a wide range of people across different cultures. 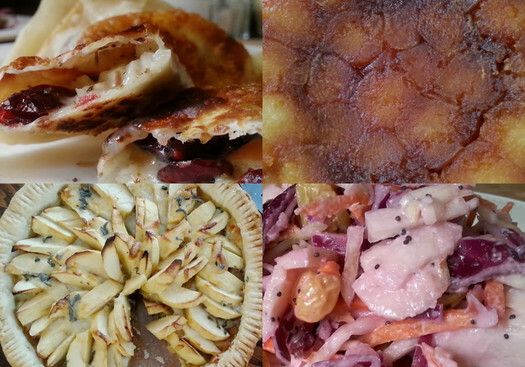 Of course, there's a lot more to the culinary heritage of Eastern European Jews than just bagels and lox. 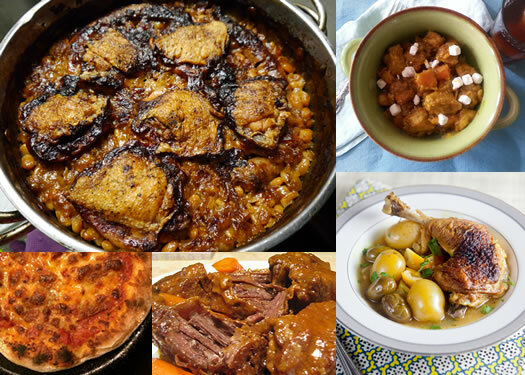 And there are plenty of tasty dishes worth exploring and learning about. Take the knish, for example. The delightful, if perhaps less well-known, deli or street vendor snack is quick, filling, and portable. 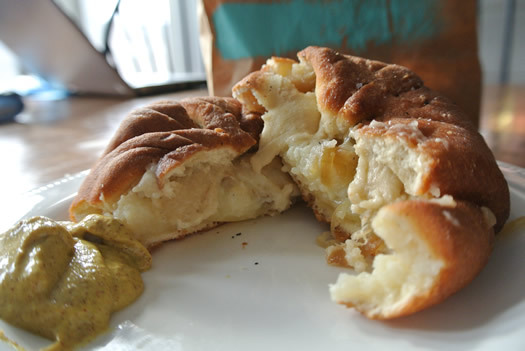 And Nibble Inc., in Troy, is turning out some of the better examples of knish in the Capital Region. 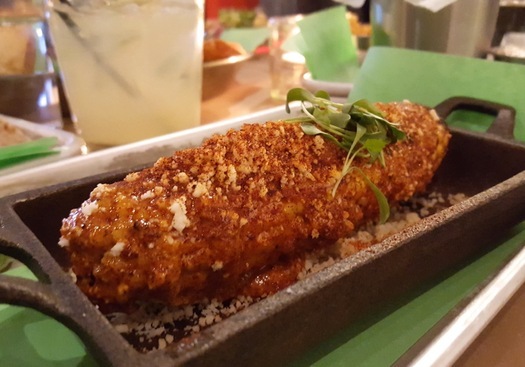 You don't need to go south of the border for a lunchtime taste of Mexico. You just need to go a little south of Central Avenue. 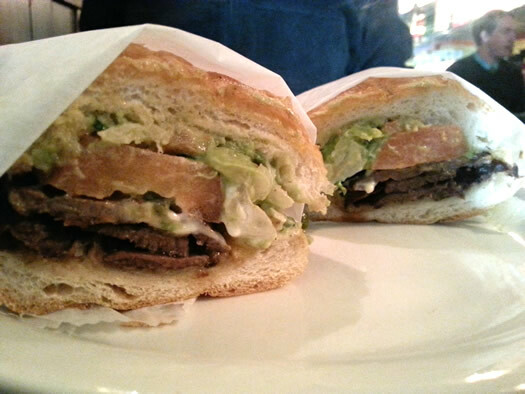 Tortas are a traditional Mexican sandwich often sold on the street during lunch. Using whatever ingredients are on hand, tortas act as a quick, filling lunch that comes cheap, is easy to eat, and offers utility that is only rivaled by flavor. 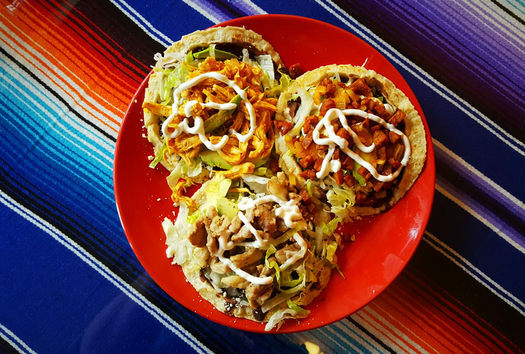 The tortas -- in various interpretations -- at El Mariachi in Albany don't disappoint when it comes to a fast, hearty lunch that bring a hit of flavor to an otherwise drab, wintery workday. Fortunately for me, eating pizza has rarely been a case of taking whatever cold slice might be left in the box from the night before. The Capital Region is flush with pizza options, so it comes as no surprise that the first meal of the day be covered by the pizza category. 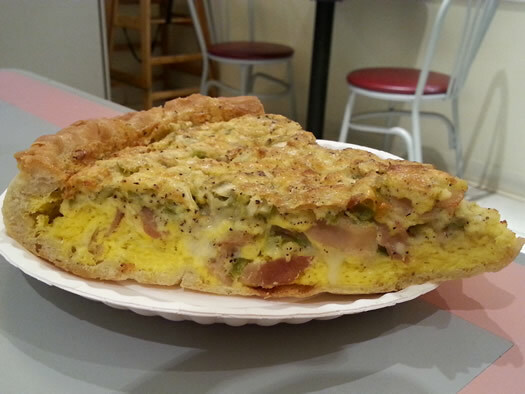 Others, like the breakfast pizza at Bella Napoli in Latham, forgo the sauce altogether and make the eggs the star of the show. And even though sauce is my favorite part of the pizza, I'm OK with that. 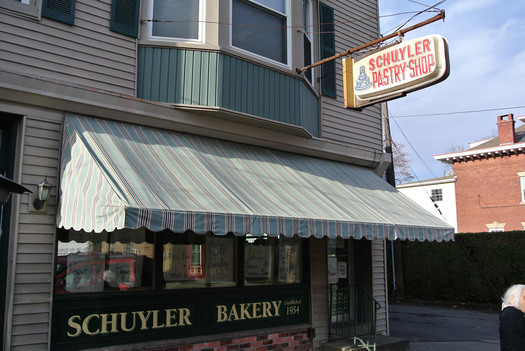 I went to Schuyler Bakery for the snowflake rolls, but I'll be going back for the Paska bread. 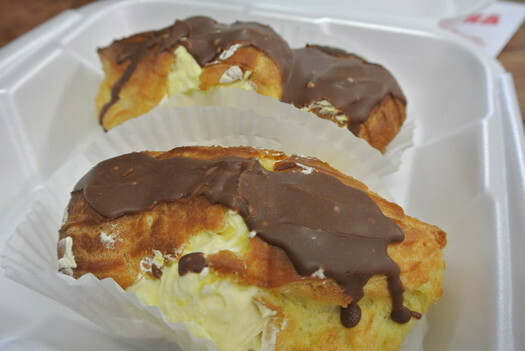 When everyone's favorite Speedo'ed Santa, Jim Larson, told me that the dinner rolls (AKA snowflake rolls, for their pre-bake dusting of flour like freshly fallen snow) at Schuyler Bakery in Watervliet were one of the best things he's eaten in the Capital Region, I knew I had to check them out. What I wasn't expecting was to come home with an assortment of other delights -- like the two other varieties of dinner rolls and a quarter-dozen of the bakeshop's famed glazed donuts. But I'm glad I did, or else I'd never know how good the Paska bread is. Well, it would be a very heavy -- and happy -- stocking. We're into the stretch run for December holidays, so we asked Deanna for a few stocking stuffer-type local food gift ideas. Stockings are my favorite part of Christmas morning. In my family, you are not allowed to open any presents until everyone is awake and in the living room, around the tree. Stockings, however, are fair game. As soon as you wake up, you can tiptoe to the mantle, un-hook your stocking, and dump out all the goodies that are crammed deep into the toe. 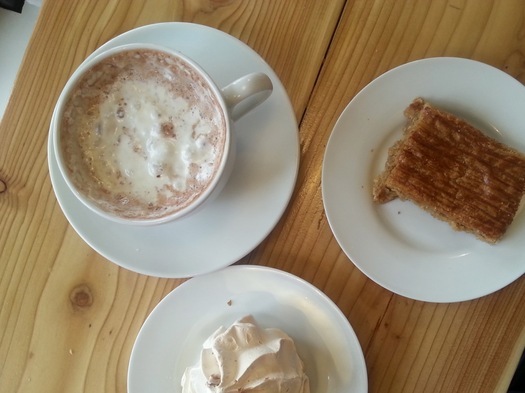 Here are some local treats I'm hoping to find in my stocking this year. Ever have a cheeseburger change your life? I haven't either -- though I've had plenty of cheeseburgers that remind me why it's good to be alive. To me, cheeseburgers are prized because they're quick, filling, and relatively inexpensive. It's part of the reason they've lasted through decades, beyond trends. 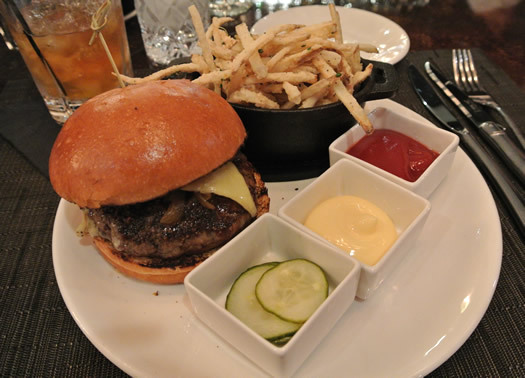 For all those reasons, it never made much sense to me to have a cheeseburger on the menu of an upscale, top-rated restaurant. 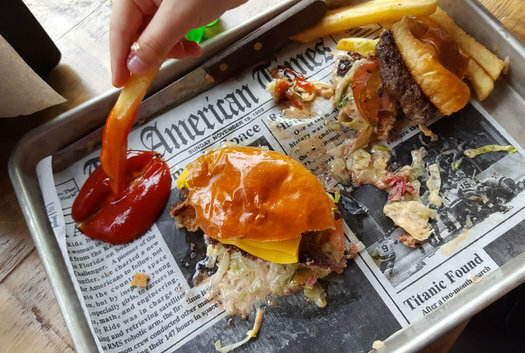 Why, when you are going to dine at an eatery that features Artic Char with quinoa, squash puree, Greek yogurt sauce, and pickled black currants -- or beef carpaccio with crispy oysters, fried capers, shaved Parmesan, and truffle emulsion -- would you order a cheeseburger? Facepalm. But then I ate the cheeseburger at 15 Church in Saratoga Springs, and I had a shift in perspective. I was trapped in a food identity crisis. I'm a thin-patty kind of girl who fell in love with a hockey-puck mound of ground meat. All I thought I loved/hated about a burger was being questioned. When it comes to the eating of feelings, I am the champion. The contents of my refrigerator are direct indicators of my mood. Happy or generally content times manifest as plenty of fresh produce, lean meat, and other aspects of a homemade, well-balanced diet. Other times, you'll find all the things that would make Jenny Craig blush. One particular crappy day had me hankering for something fried, spicy, and perhaps even a little sweet. How could one better address all those cravings that with fried handpies? 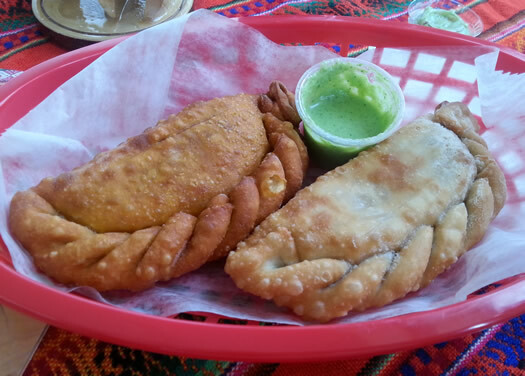 And on this day, that came in the form of empanadas at La Empanada Llama. In one single bite, I could feel my entire day turning around. There are two types of Italian restaurants in the Capital Region: The eh-talian, and the EYE-talian. The former are the restaurants that serve food more in line with something plucked from the Tuscan hills. The latter are the checkered tablecloth joints where most dishes come slathered in red sauce. Unless you count D'Raymonds in Loudonville. Then I guess there are three. D'Raymonds lies somewhere in the middle of the two mentioned above. It embodies the cuisine of red sauce joints with a more upscale vibe. It's Little Italy meets Upper West Side. It's Nonna meets your hot WASPy girlfriend. It's comfort, with class. 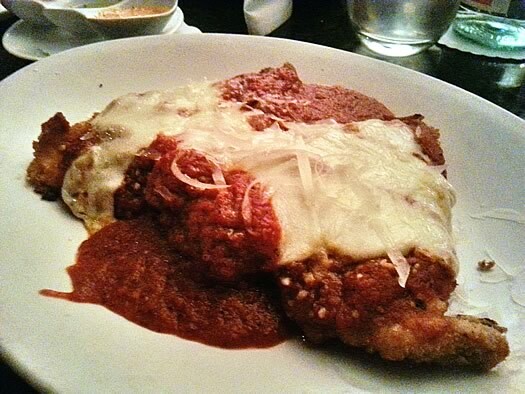 No dish on the menu emphasizes this more than the D'Raymonds chicken parmesan. The nearest Waffle House is 127.94 miles away from Albany. What a shame. I'm normally not a big proponent of chains, but few places understand the utility and magnificence of a waffle. Waffles are the superior batter-based, carb-loaded breakfast option. 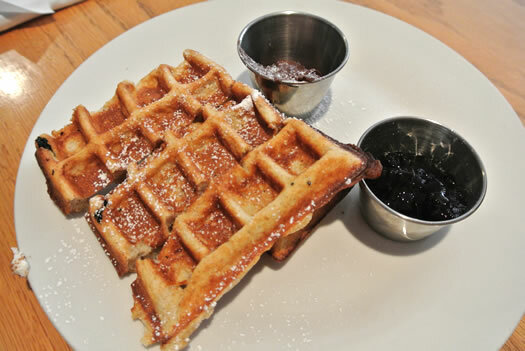 Pancakes are great, don't get me wrong, and so is French toast, but neither can be manipulated the way a waffle can. 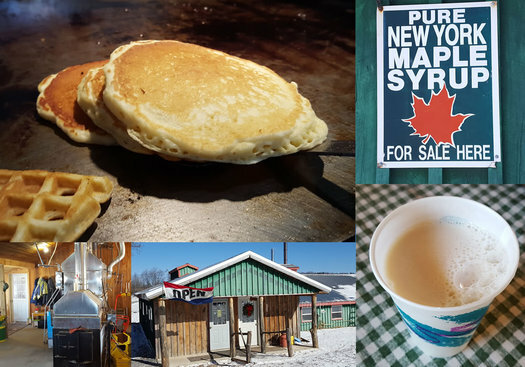 Many places in the Capital Region serve waffles, but few embrace the true glory of the waffle the way Iron Roost in Ballston Spa does. That's the Sweet and Savory grilled cheese in the foreground. Ah, fall. How nice to see you again. I'm looking forward to fully enjoying you with cozy knit sweaters, marled wool socks, nights by the fire, and cheese... lots and lots of cheese. There's just something about cheese that lends itself to cooler temperatures. Macaroni and cheese. Cheese fondue. Cheese-filled pastries. And did I mention grilled cheese? The grilled cheese of my youth -- potato bread slathered with mayonnaise on the outside, holding together stringy slices of white American cheese -- is very different from the preferences of my adulthood. Today, artisanal cheese and bread is where it's at for me. And Thankfully there's a place that perfectly merges my autumnal longings with melty, oozing delight. If you shouldn't judge a book by its cover, neither should you judge a restaurant by the sign in the window. 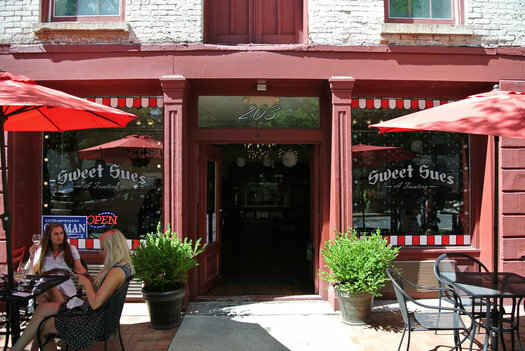 Sweet Sue's on River Street in Troy has mastered all things sweet and sugary, but savory hasn't been forgotten. 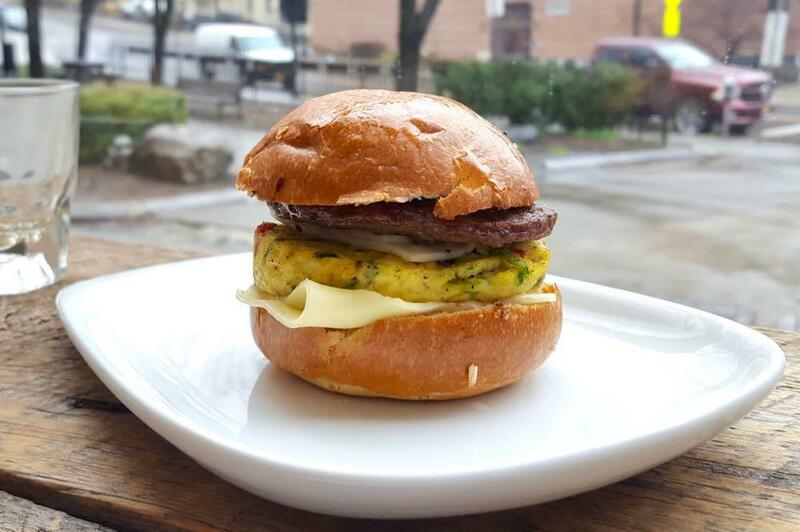 From weekend brunch to mostly-from-scratch lunch sandwiches, this "treatery" ignites all five tastes (sweet, salty, sour, bitter, umami), and bridges the sweet-savory divide in ways missing from many other eateries. At Sweet Sue's for lunch you can have your cake (and eat it, too) -- and not neglect your more substantial savory cravings. 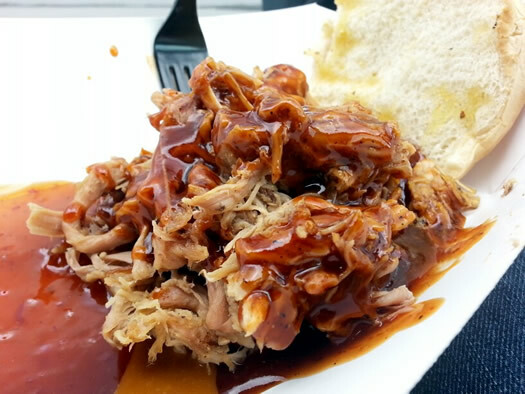 Pulled pork is probably my favorite barbecue offering. Barbecued chicken or ribs were never something I got particularly excited about, though I am a fan of brisket. But there is just something hard not to love about that tough chunk of pork being lovingly rubbed with spices and flavorings, then left to marinate in its own fat and juices in the gentle heat of charred wood and charcoal. Patience is a virtue, especially in cooking, and nowhere is that more true than with pulled pork. Hours of anticipation lead to fork-tender strands of meat that await a sweet and tangy sauce and two pieces of bread to accompany it. And the version at Stockyard Bar-B-Q is the perfect example of what pulled pork sandwich should be. The Sloppy Track shake is reason enough to visit the track. Some people go to The Track (that would be Saratoga Race Course) for the horses. Some go for the thrill of gambling. Yet others go for the chance to hob-nob with celebrities and big spenders. Me? I go for the food. I really do love the sport of horse racing and taking in the crowds who anxiously wait to see if their chosen thoroughbred will prove victorious. 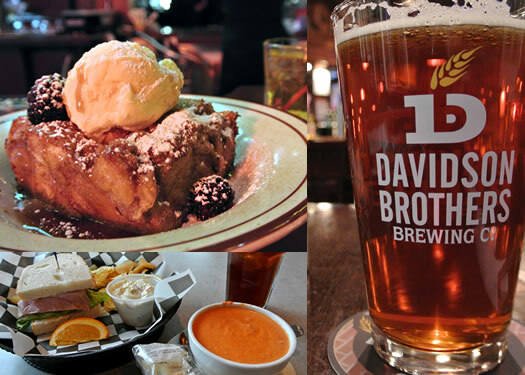 But there are few places in the Capital Region where you can get such a wide array of tasty delights all within walking distance from each other. This year more than ever, those food choices have proven more copius and harder to choose from. Ah, summer. What could be more quintessentially American summertime than baseball, beer, and moules frites. Yep, I said it. 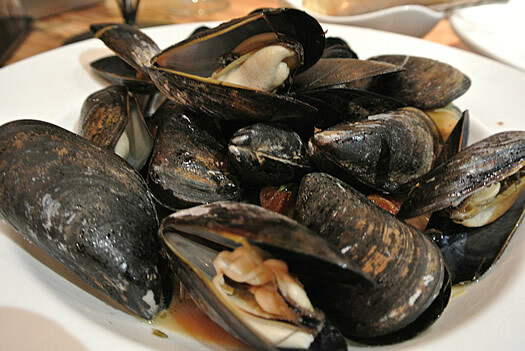 Moules. Frites. Okay, so maybe that's a reach. While baseball and drinking beer are endemic to this country, the fancy title for mussels and French fries is a classic Belgian item. But there is a place where those three elements -- baseball, beer, and moules frites -- coalesce in harmony, and that's Cooperstown, the site of the Baseball Hall of Fame and the hometown of one of the best examples of Belgian beer and food in America: Brewery Ommegang. With the fertile soil of the river banks and glacial till, the Hudson Valley has long been regarded as a prime location for farming. And now it's proving a productive place for a different take on agriculture. 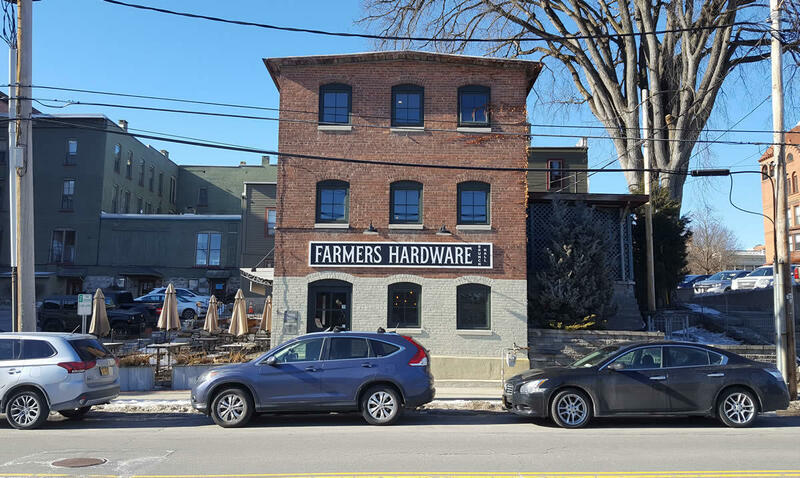 Based out of a second-floor office on Warren Street in Hudson, Modern Farmer has become a global media brand. The magazine is, in its own words, "for window-herb growers, career farmers, people who have chickens, people who want to have chickens and anyone who wants to know more about how food reaches their plate." In just its first year of publishing, Modern Farmer has already won a National Magazine Award, and it's attracted attention online via features such as Goat Week (complete with a goat cam). So why set up in Hudson? 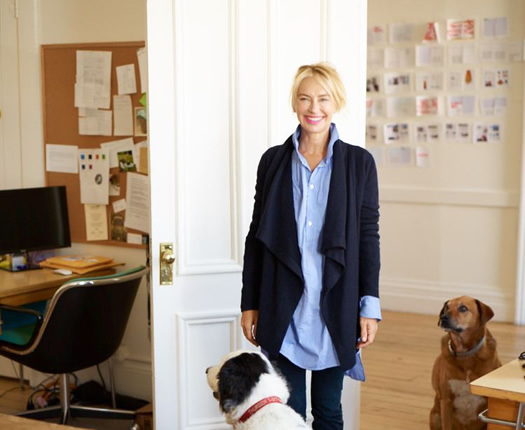 I asked Ann Marie Gardner, CEO/editor-in-chief of Modern Farmer, to find out. AOA's summer tour is headed to Hudson this weekend, so we thought it'd be fun to have Hudson Week on AOA. Each day we'll be featuring posts about things to do, see, and sample in this city on the river. For being only a thirty minute drive from Albany, Hudson feels like another world, especially in the gastronomical sense. A distinctive West Village vibe permeates the eateries and food shops that dot either side of Warren Street, to the point that even the staff seems as though they probably arrived at work from a two bedroom overpriced apartment that seven unrelated people live in. Thankfully, the prices in the Hudson dining scene haven't yet reached skyscraper heights. 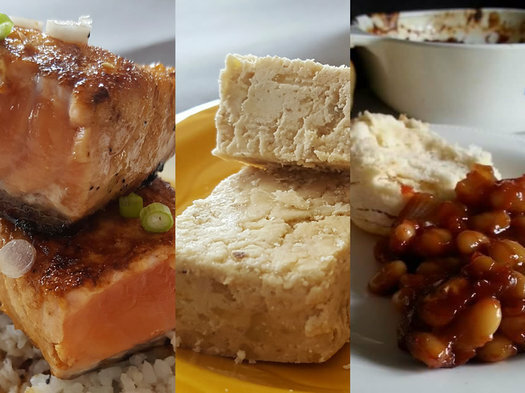 On a recent trip I challenged myself to eat on a $5-$10-$15-$20 budget for the day. I would find a meal at each price point. The criteria were that the food had to be 1) delicious and 2) an adequate serving for the price. With joints like Fish and Game and Crimson Sparrow - both run by top NYC chefs who moved up the Hudson - I was worried I wouldn't be able to find anything beyond quick grab-and-go options (a tasting menu at Fish and Game is $75. Add wine pairings and it's another $75). My ancestral background is less of a patchwork and more of a woven blanket -- the weave and weft is all the same color with little variation. I can trace my familial heritage almost exclusive to the lush, green landscape of Scotland, Ireland, and Wales. There are a few one-offs here and there, but overall it is a fairly homogenous mix. One would think I should crave potatoes and boiled meat for my daily meals. Why, then, do I yearn constantly for the cold, exotic salads of the Middle East? 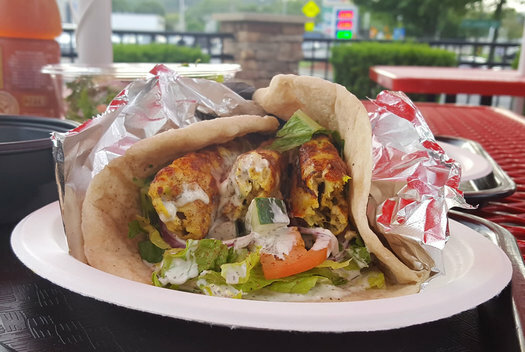 Once you eat at Ali Baba in Troy, you want to keep eating at Ali Baba. And I'll be content to keep eating the meze there. Simple things can be delicious things. A chicken roasted for an hour with butter and herbs. Tomatoes simmered with garlic and basil until silken. A peanut butter and jelly sandwich. All are simple to prepare, relatively hard to screw-up, and completely tasty. 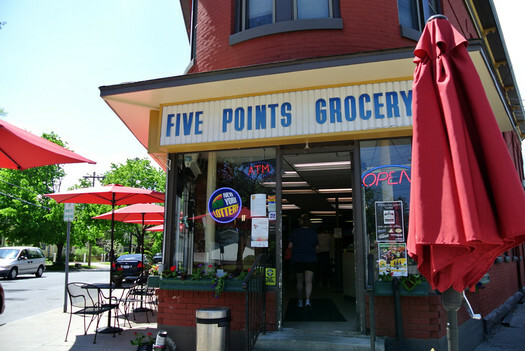 The breakfast taco at Five Points Grocery in Saratoga fits into this category. It might not look like much, but its simplicity and utility make it a delicious grab-and-go option. Four ingredients -- five, if you include butter -- are all it takes to make this little jewel shine. 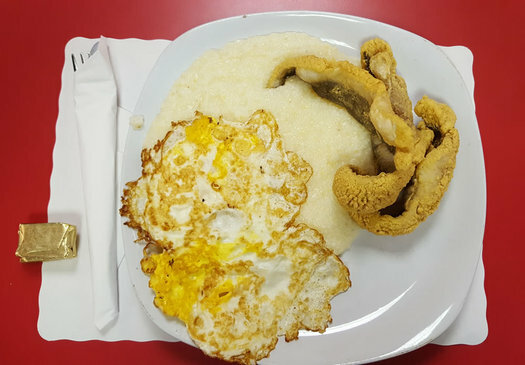 Fried oysters are a fairly common dish on Capital Region menus. It's not a revolutionary preparation of the shellfish by any means -- fried oysters have been a hallmark of po' boy sandwiches for at least a century, and they've made appearances in many a basket at a fish fry or seaside shack. However, if done right, variations on the dish can elevate the mere mollusk into something memorable, crave-able, extraordinary. 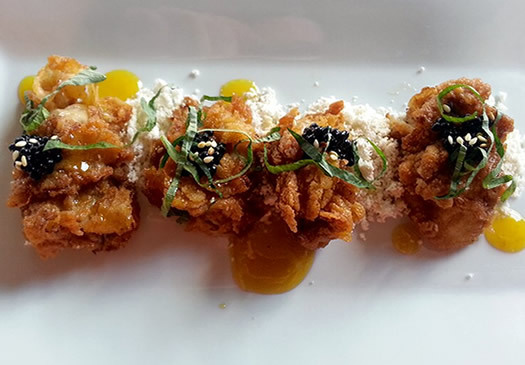 The fried oyster put forth by Javier's Nuevo Latino Cuisine in Saratoga Springs does just that. A round of applause for Jeff Janssens, who very capably headed up the Eat This feature over the last year. And now we're happy to welcome Deanna Fox, who's next to occupy this seat at the table. There are few times when eating soup requires the use of a knife. The French onion soup at The Ginger Man in Albany is one of those instances -- unless you plan to use your fingers to rip at the gooey cheese and broth-soaked toasts that encrust the soup. I wouldn't blame you for throwing decorum aside and just going for it. 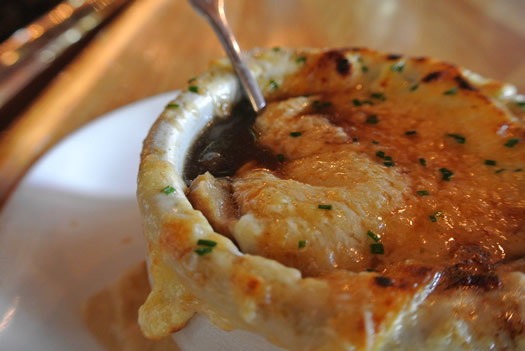 This soup -- which is so much more than the typical French onion soup -- is worth it. But, just in case, keep the knife at the ready.